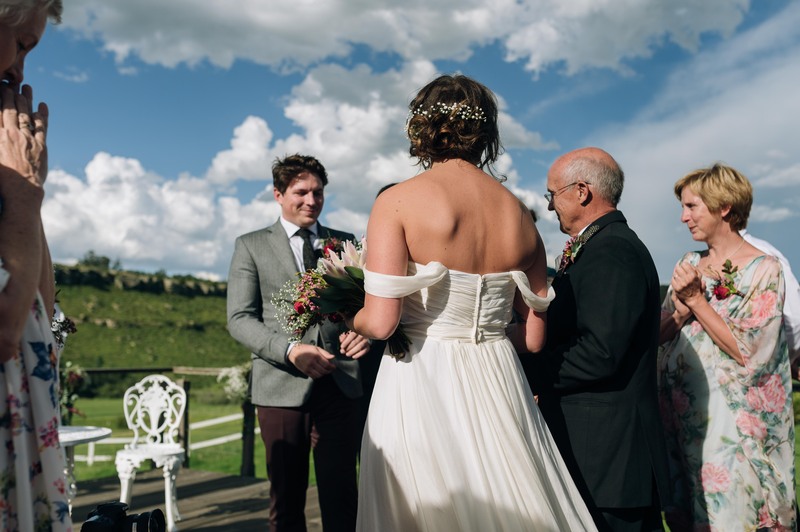 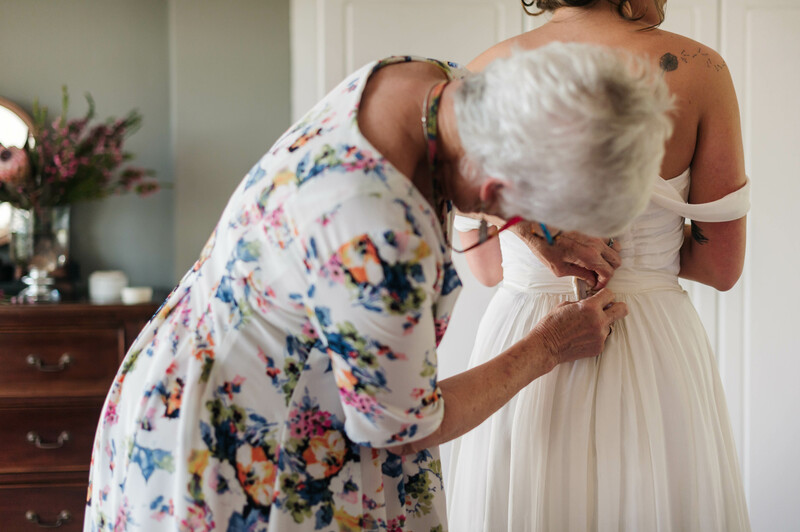 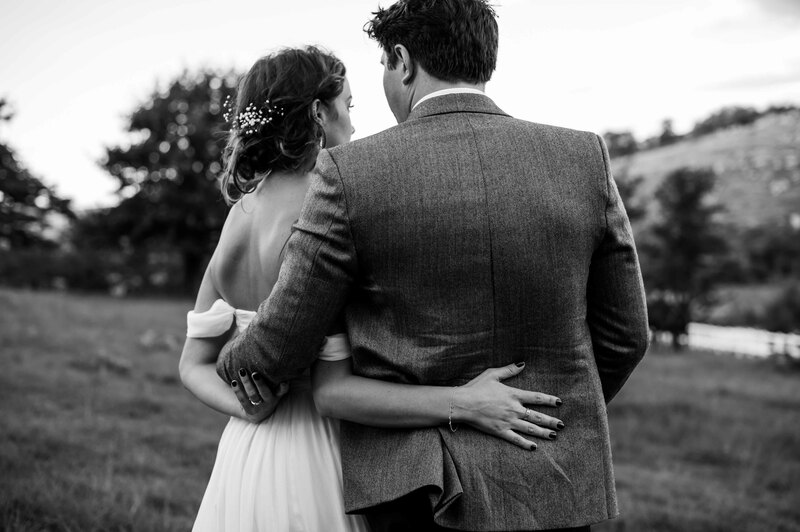 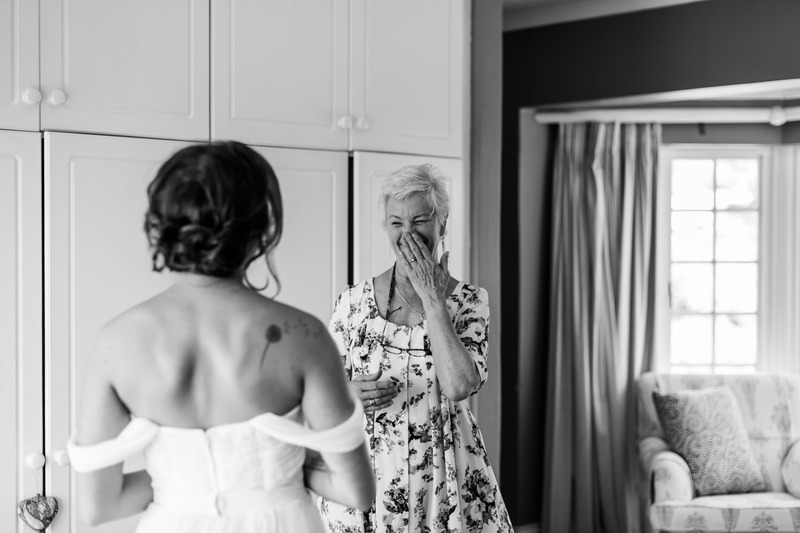 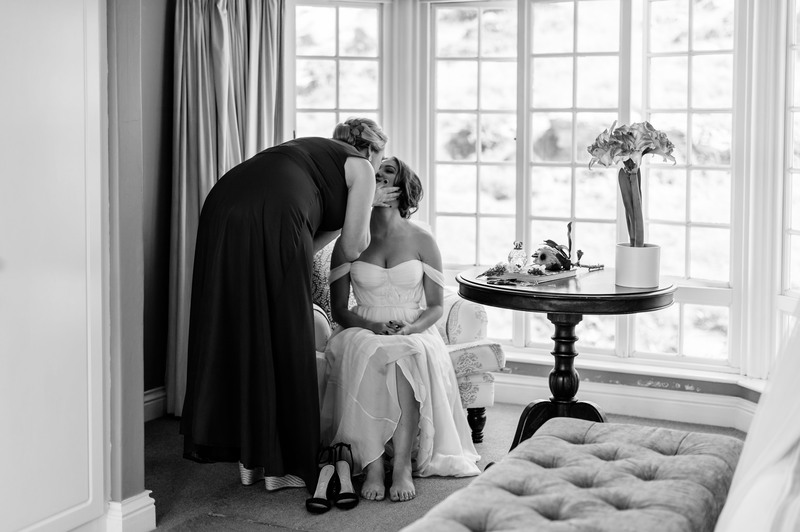 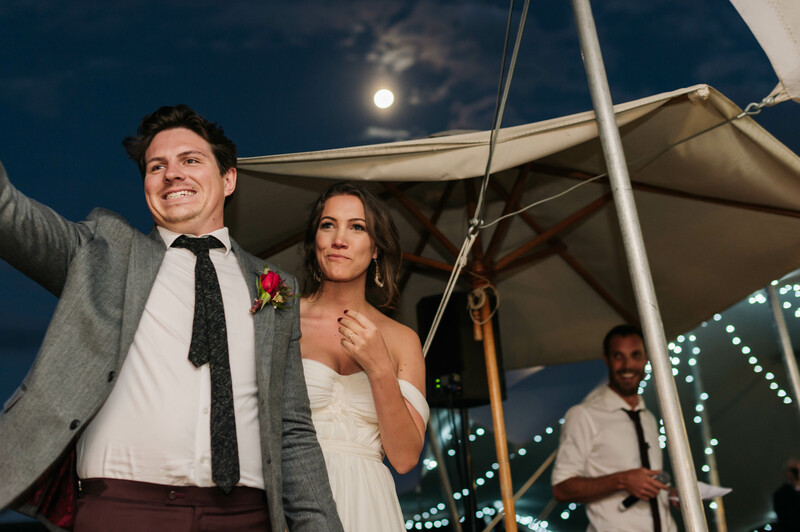 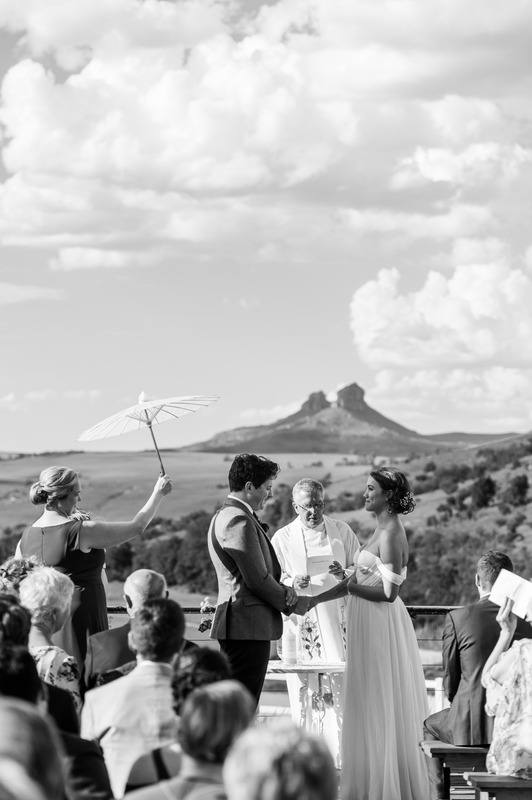 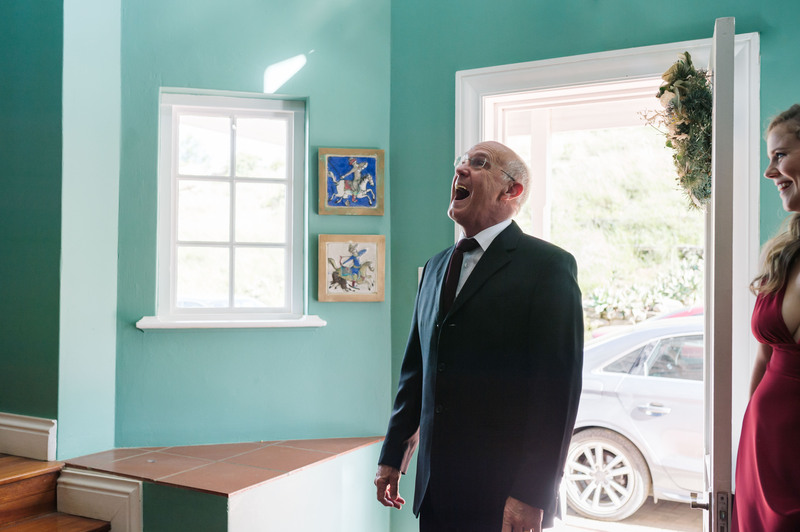 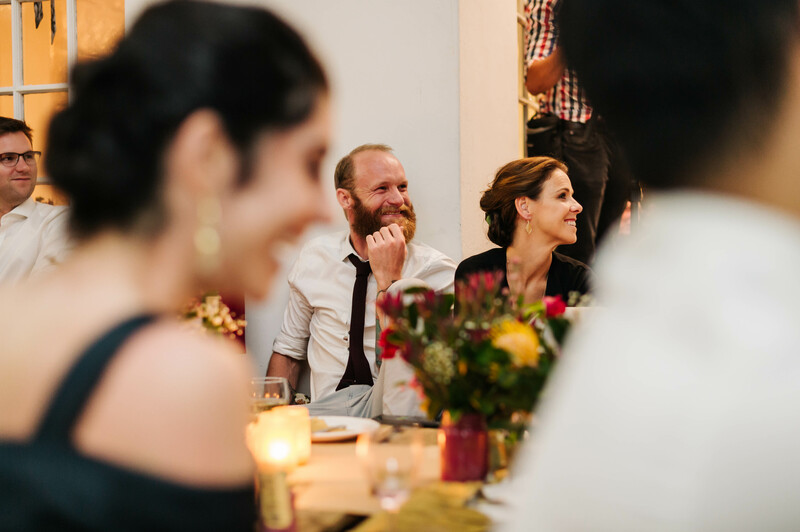 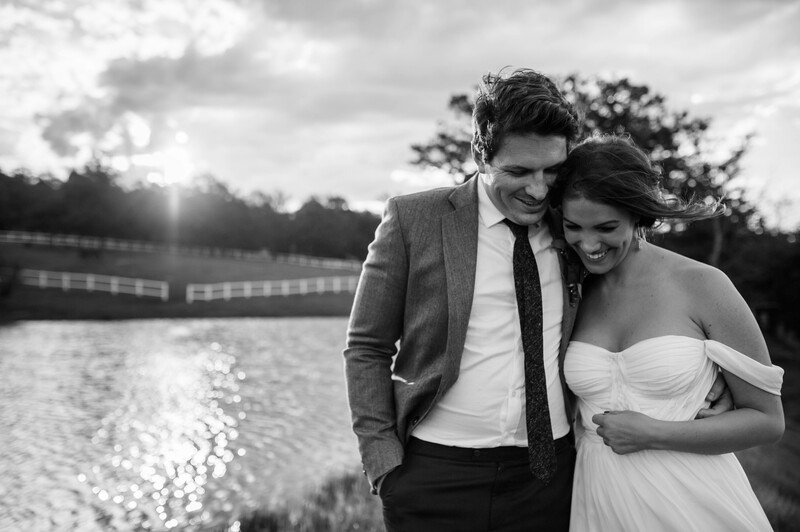 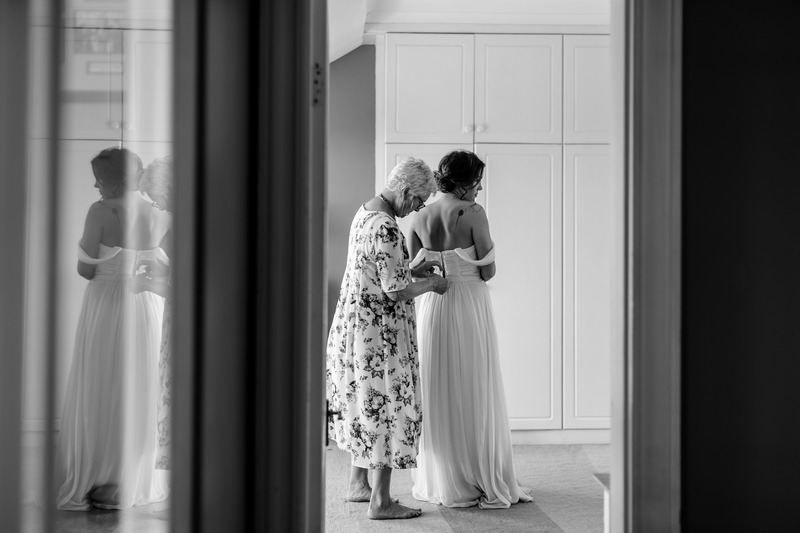 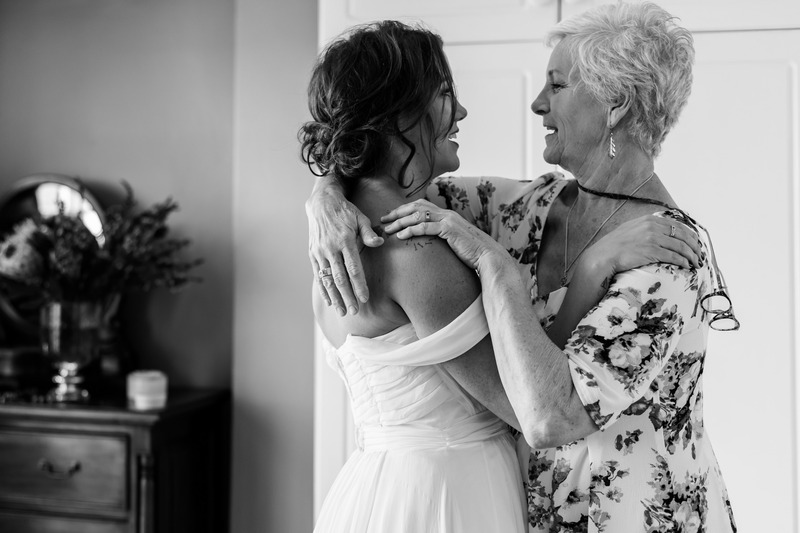 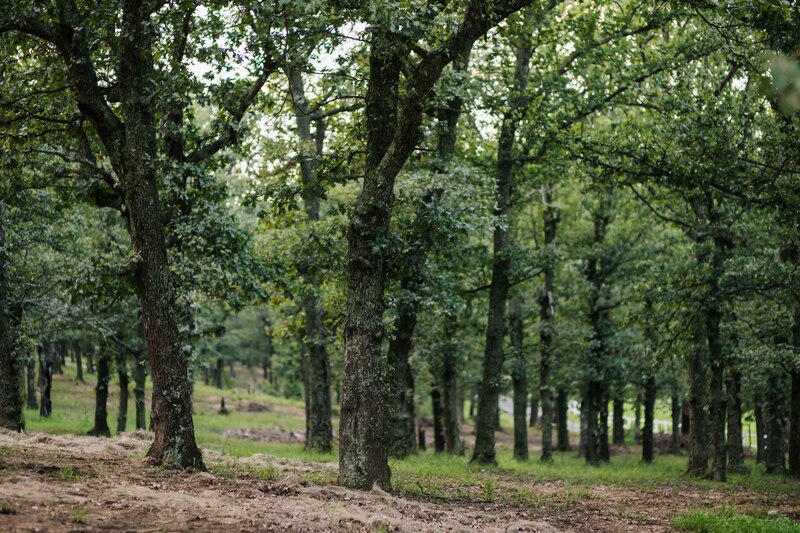 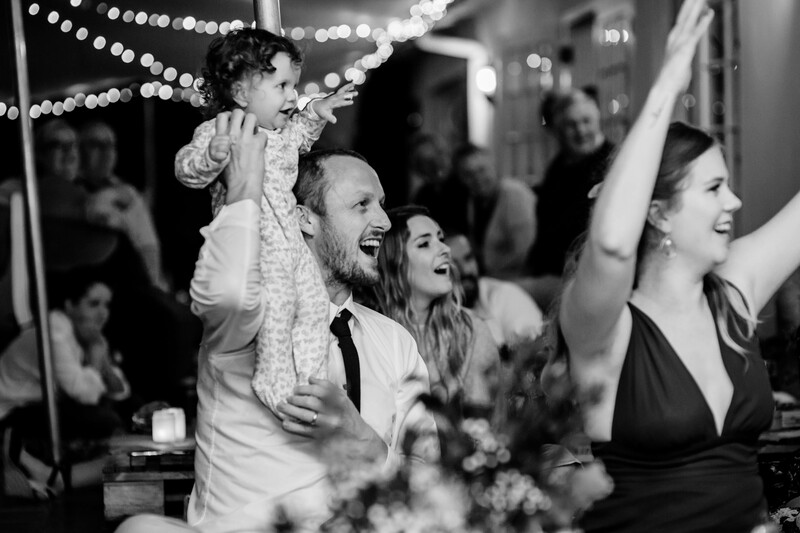 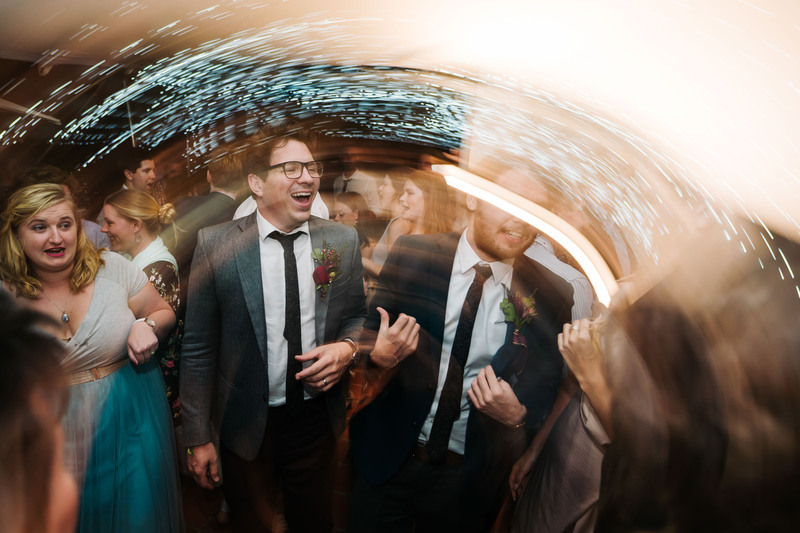 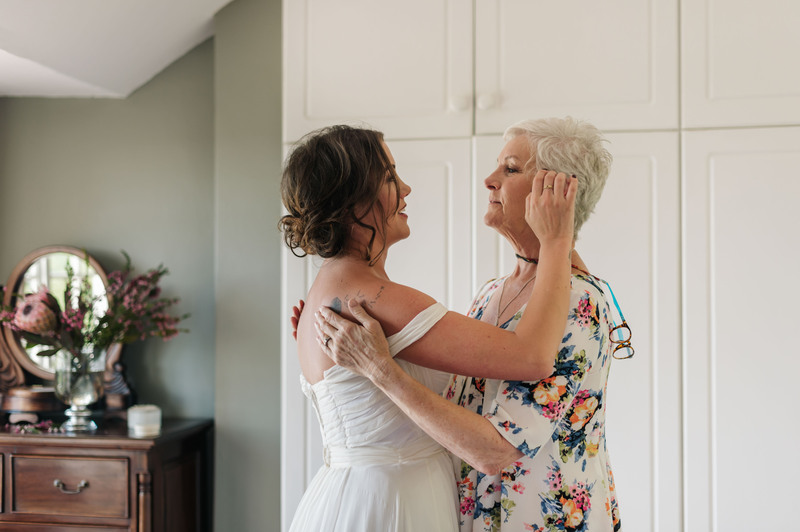 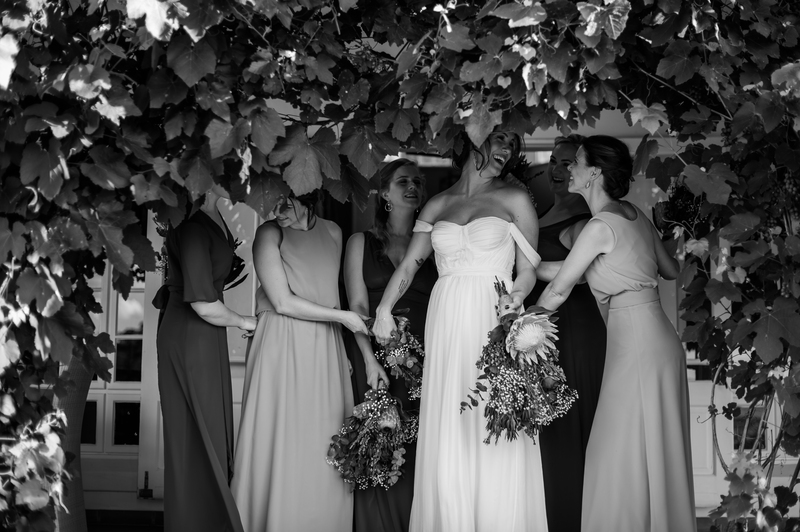 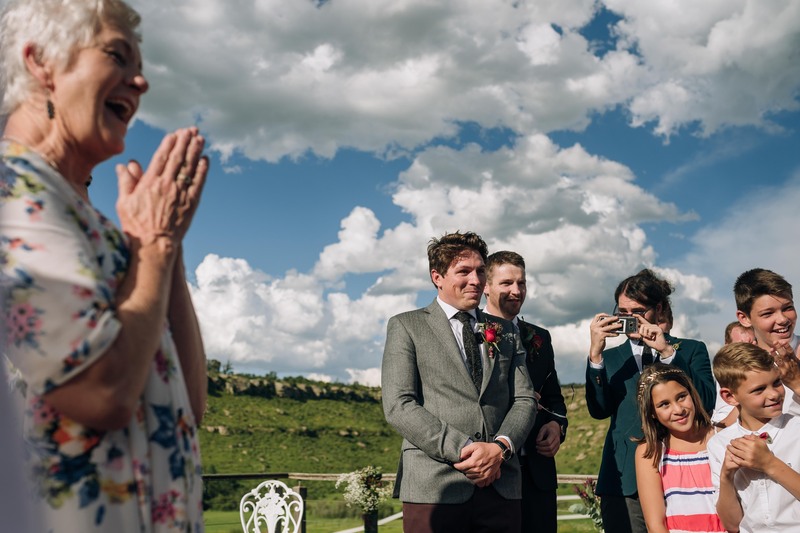 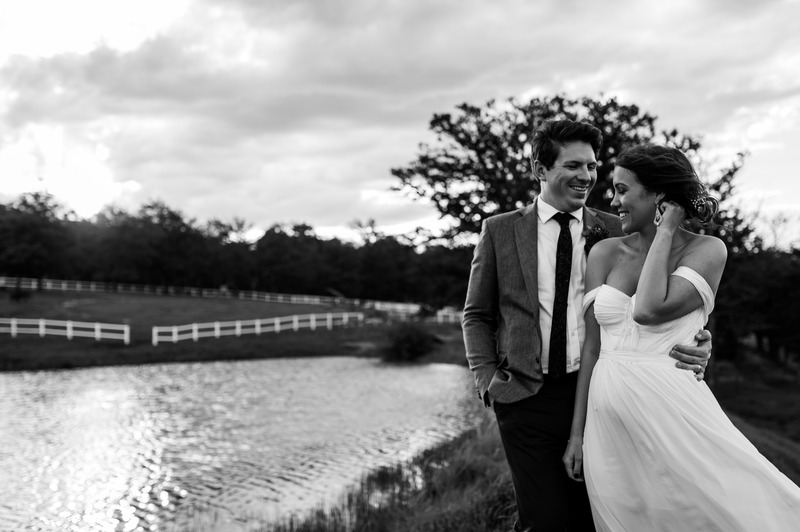 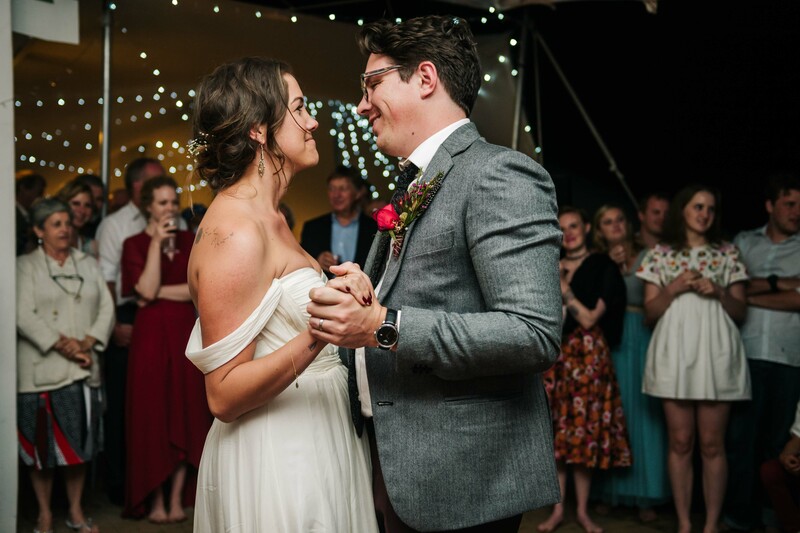 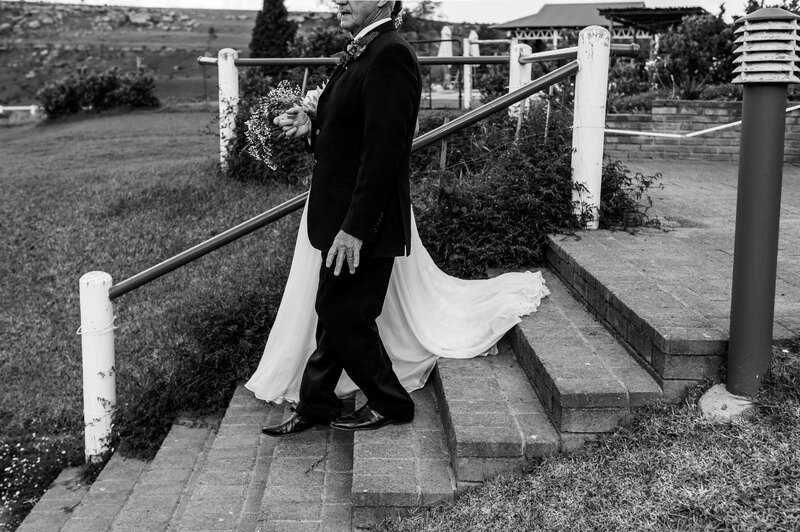 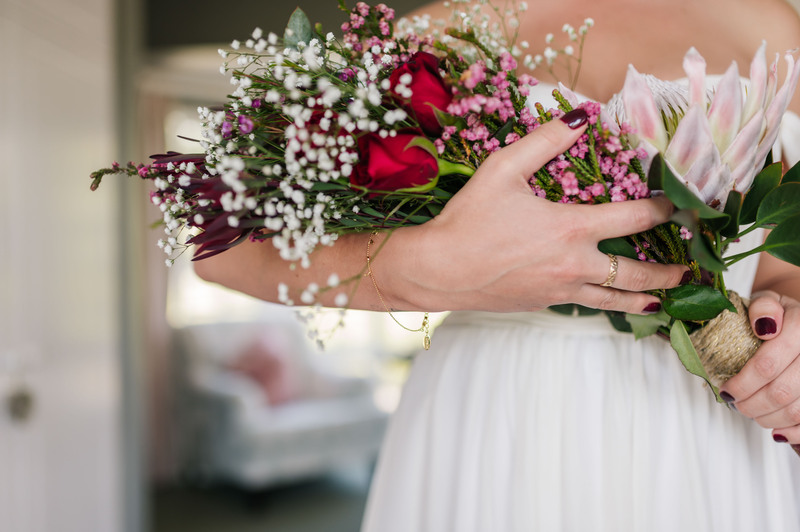 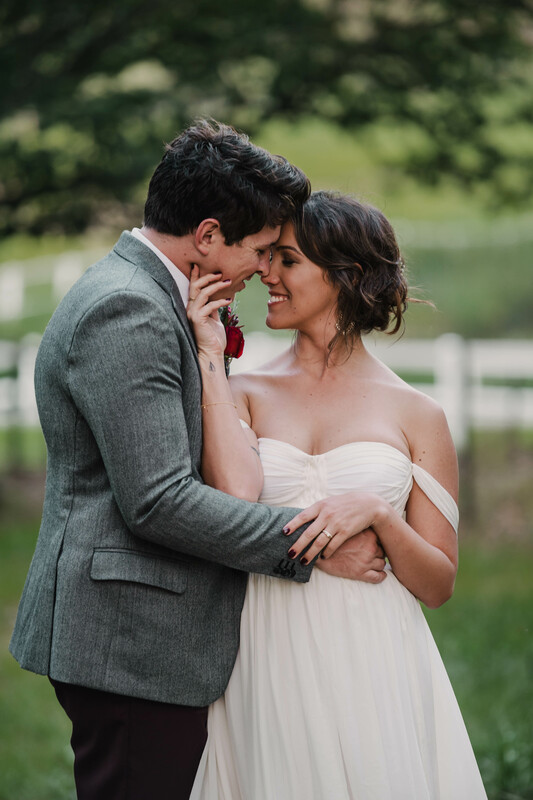 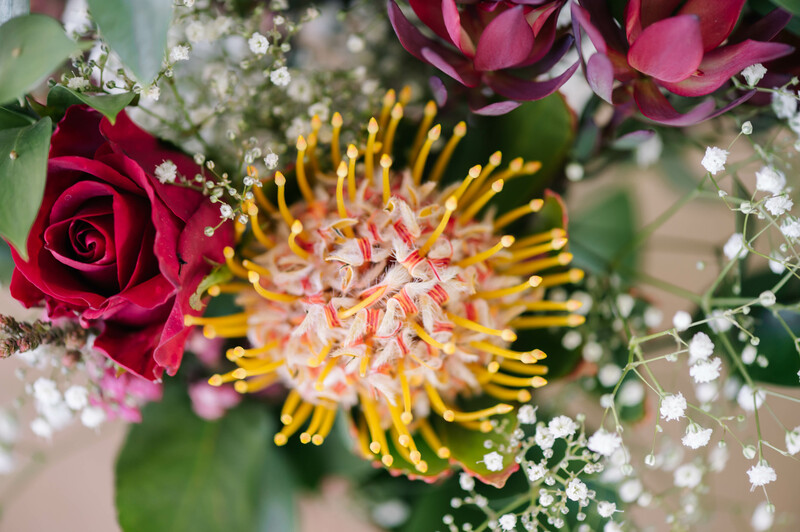 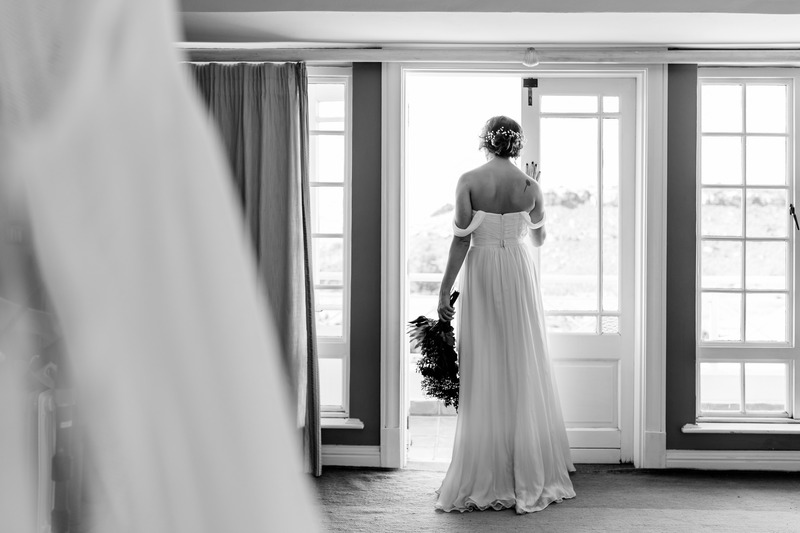 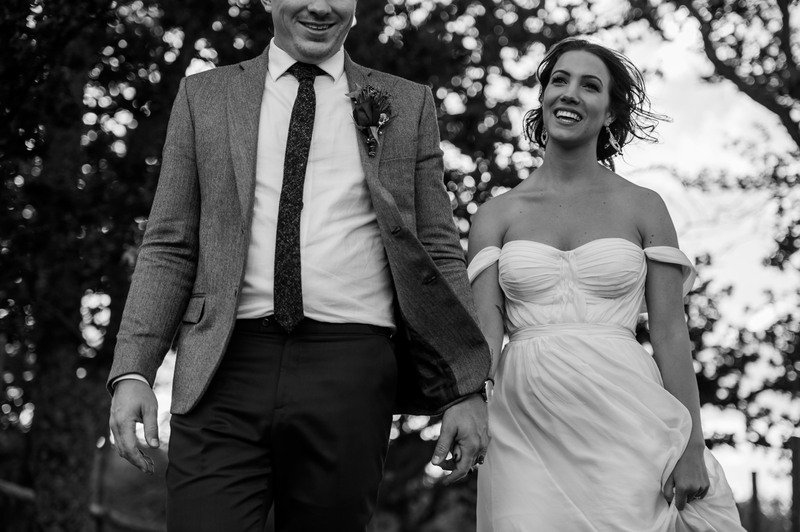 Looking back at Lucy and Ant’s wedding fills our hearts with warm joy. 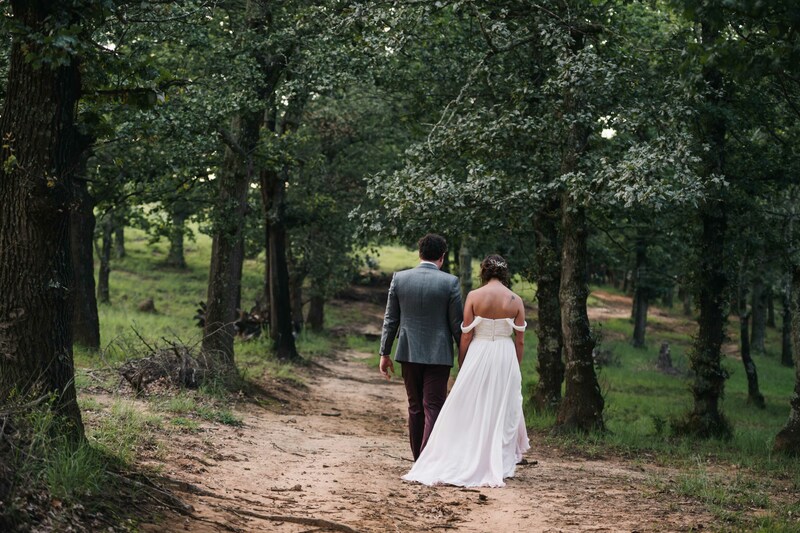 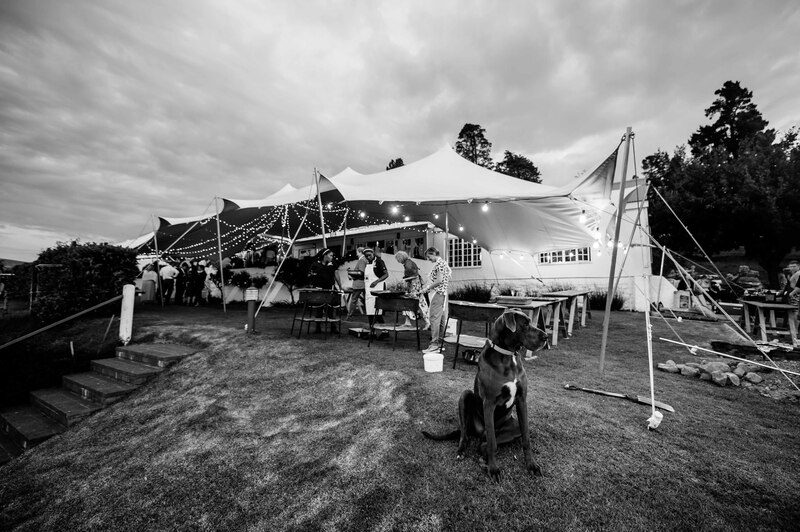 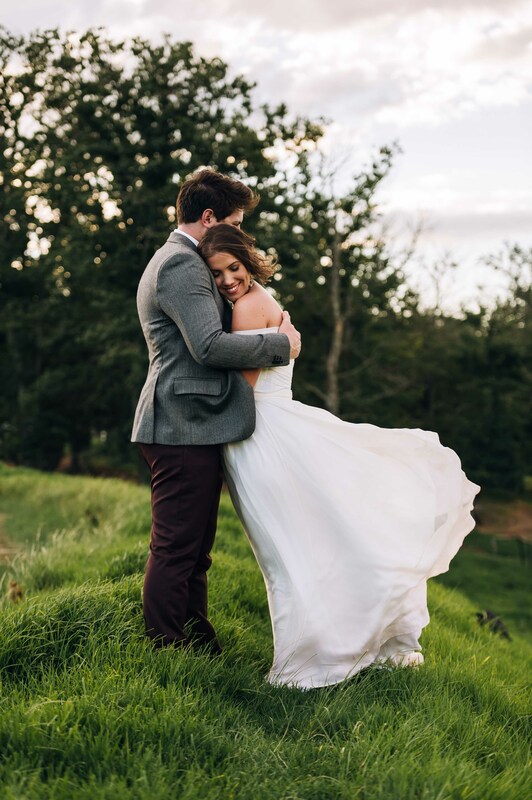 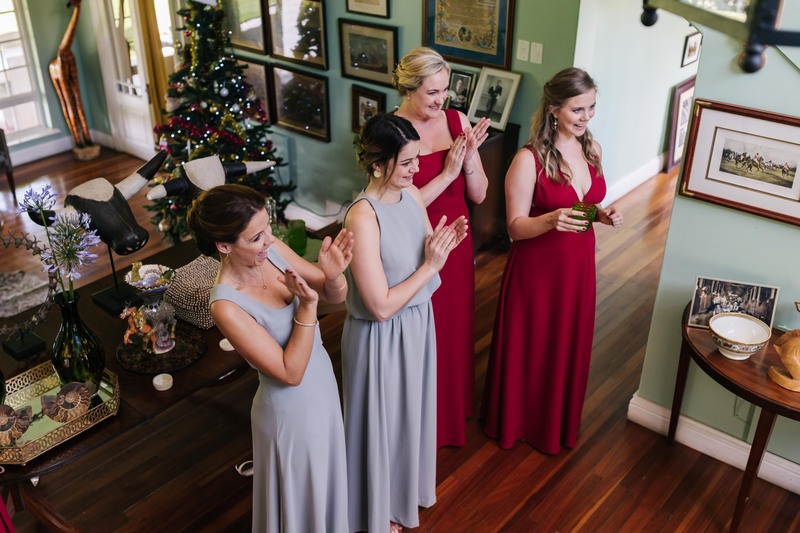 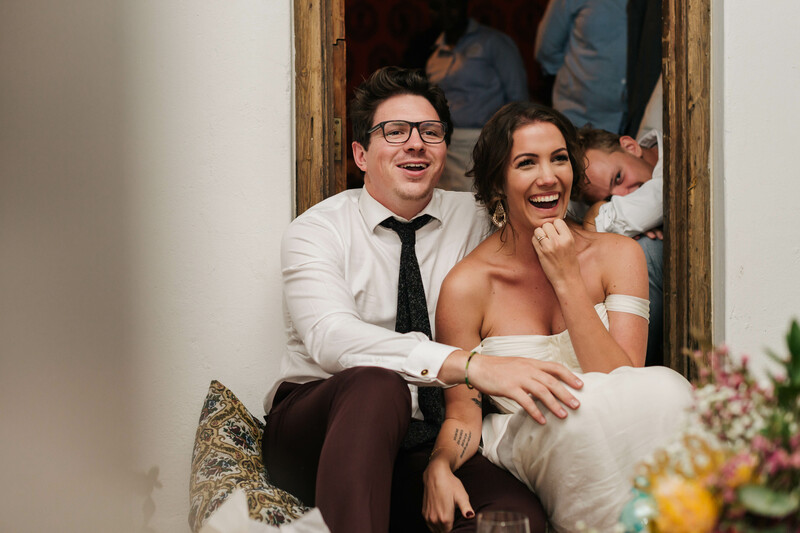 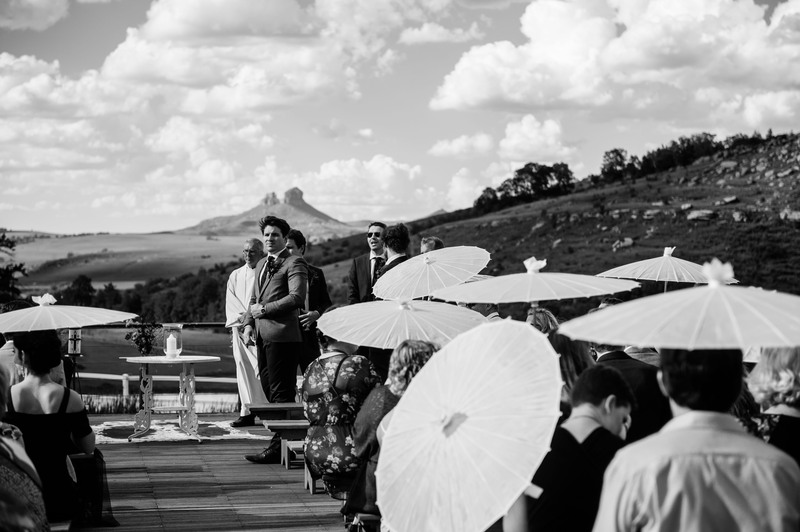 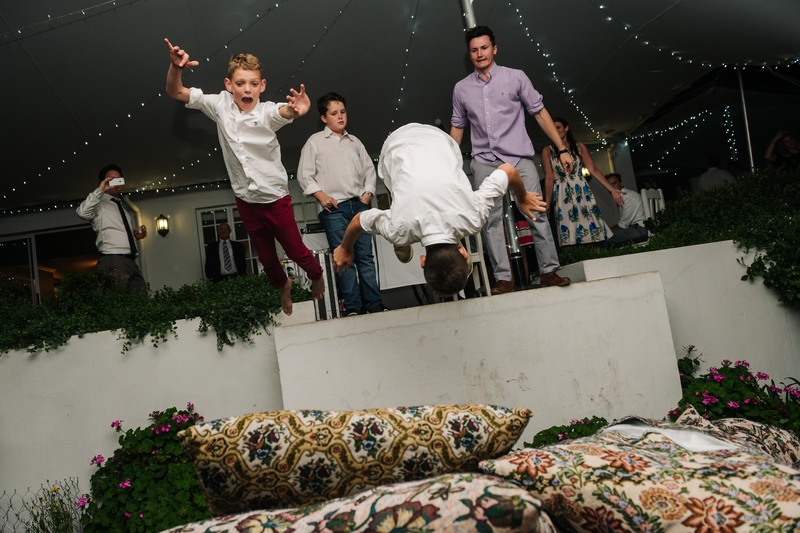 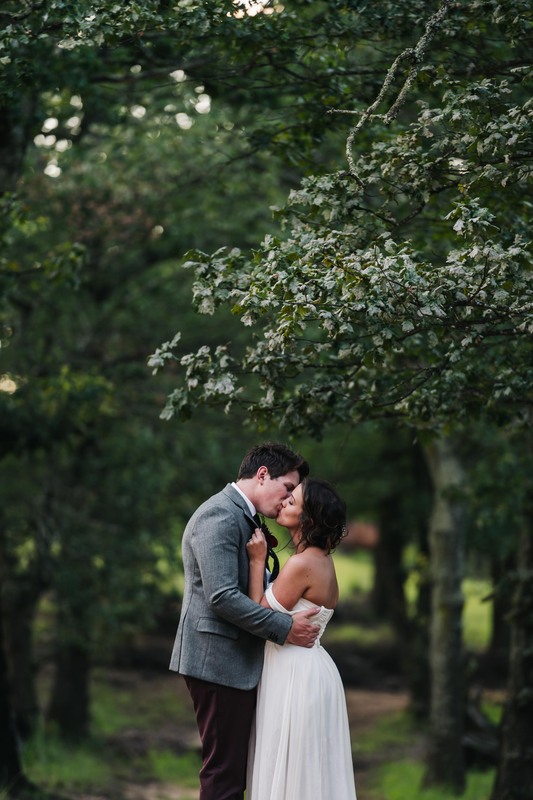 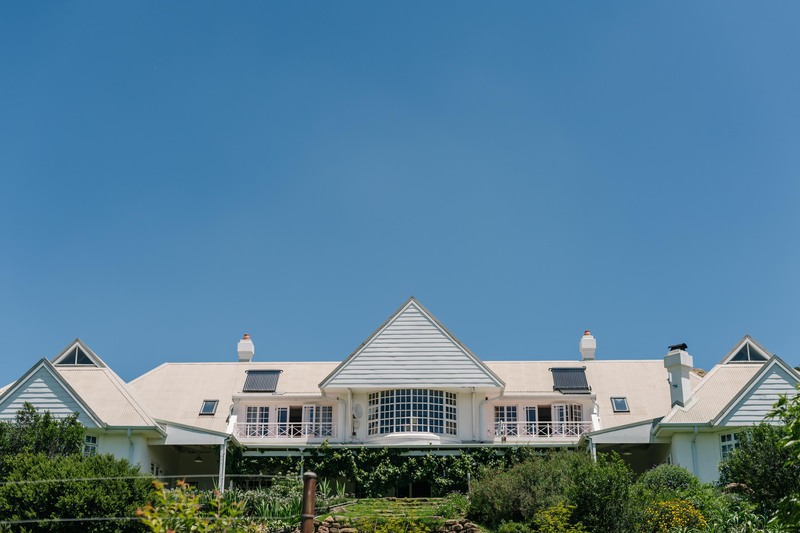 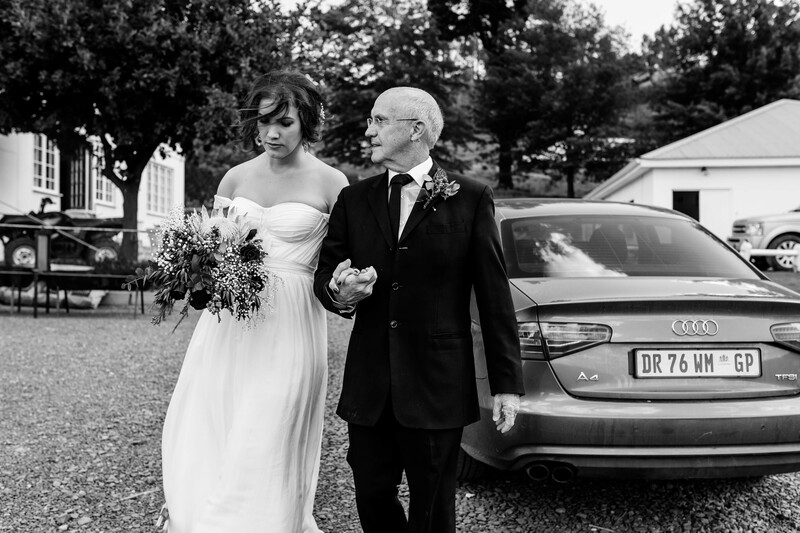 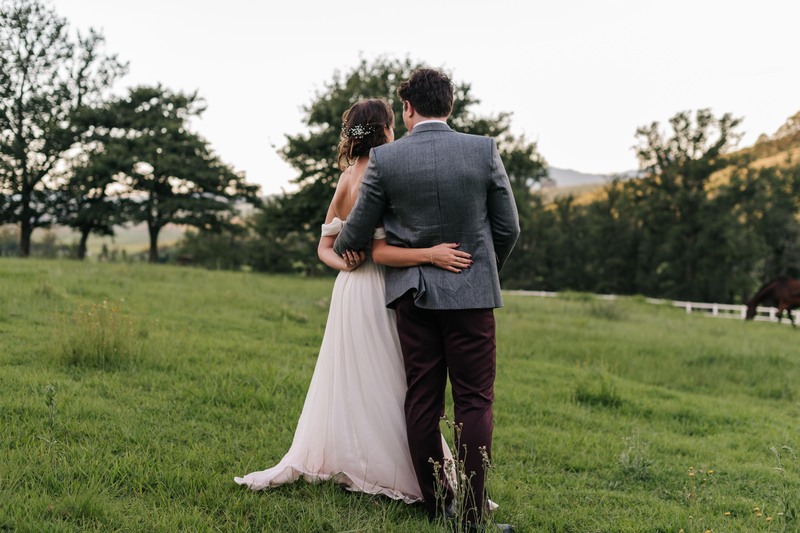 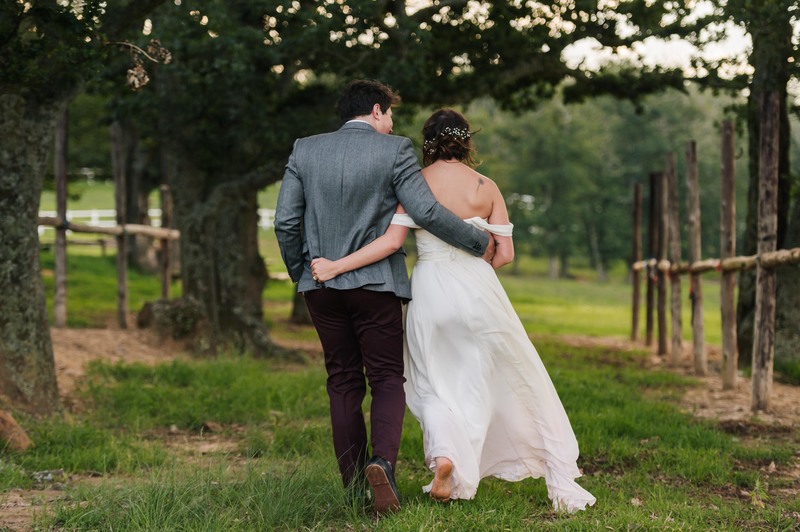 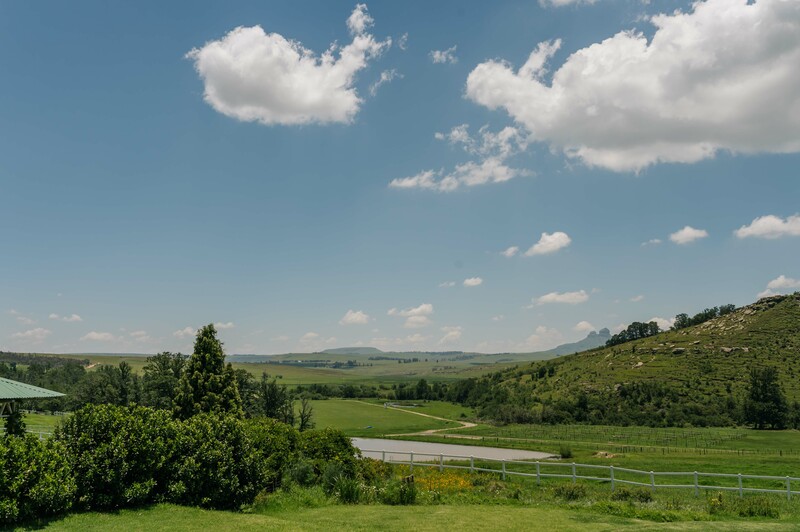 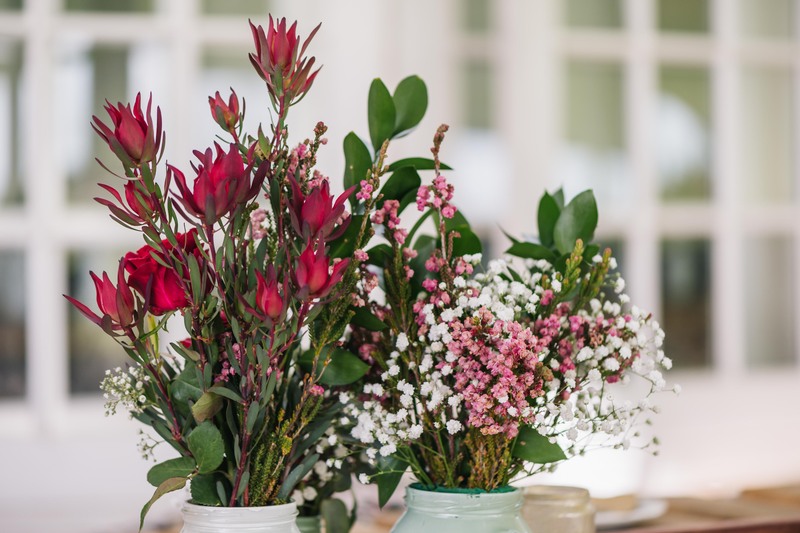 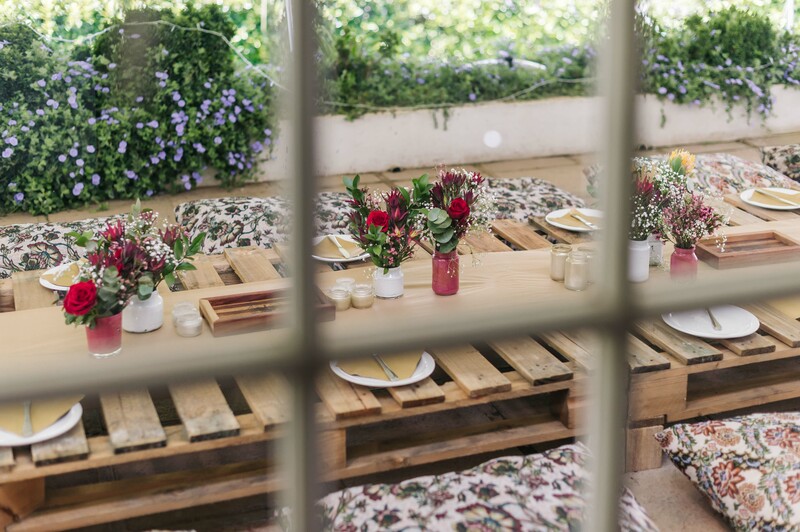 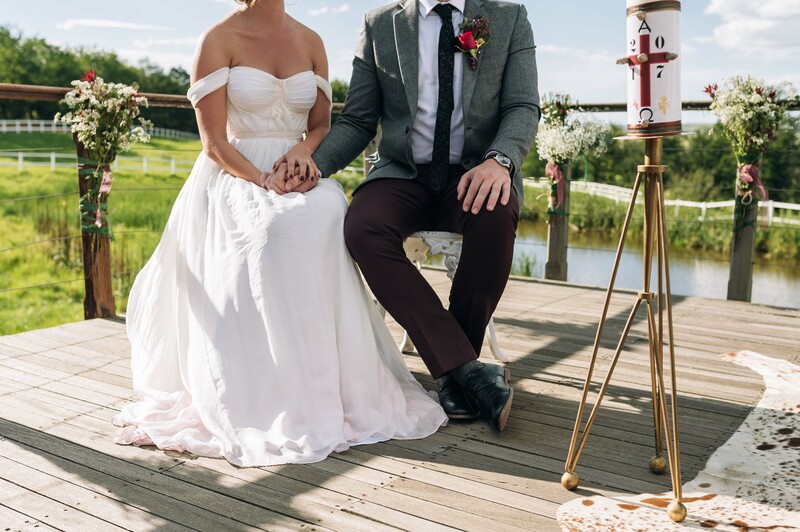 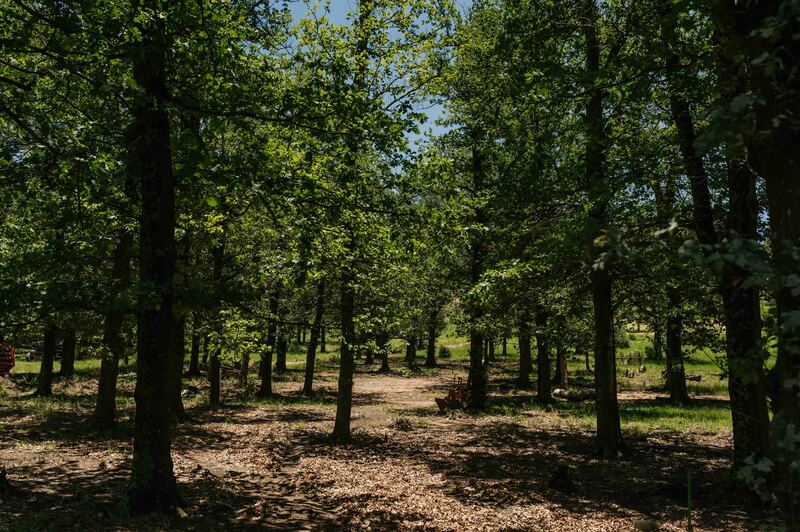 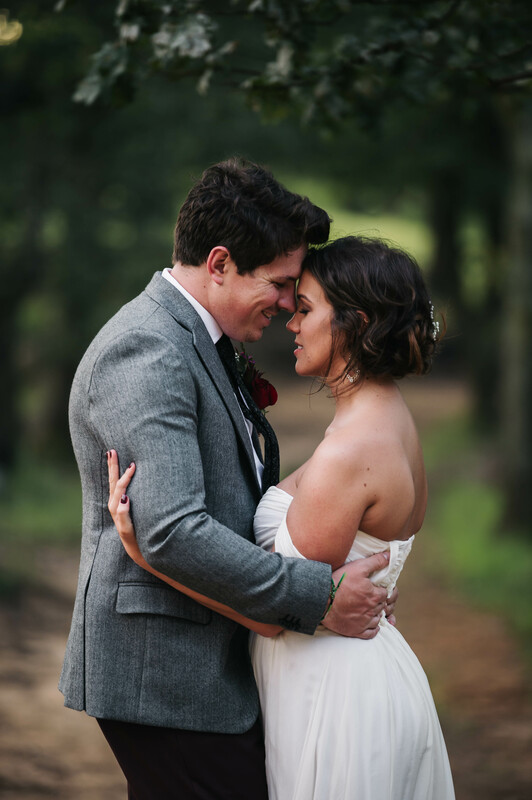 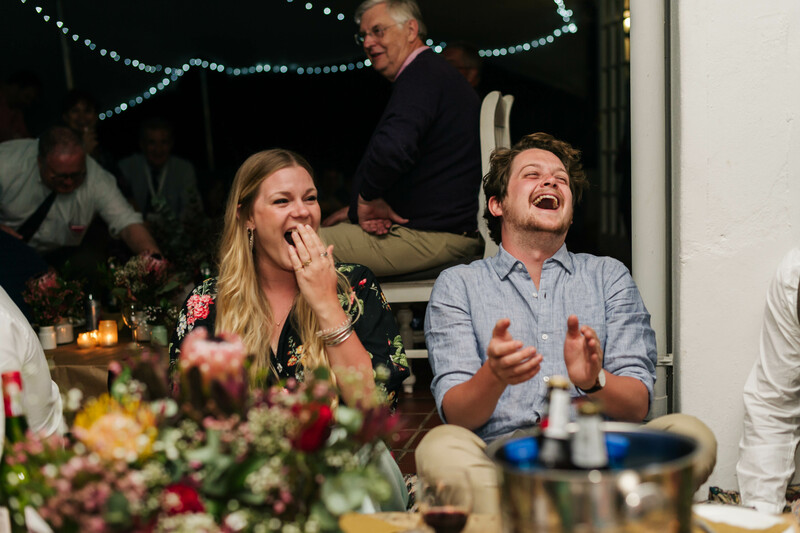 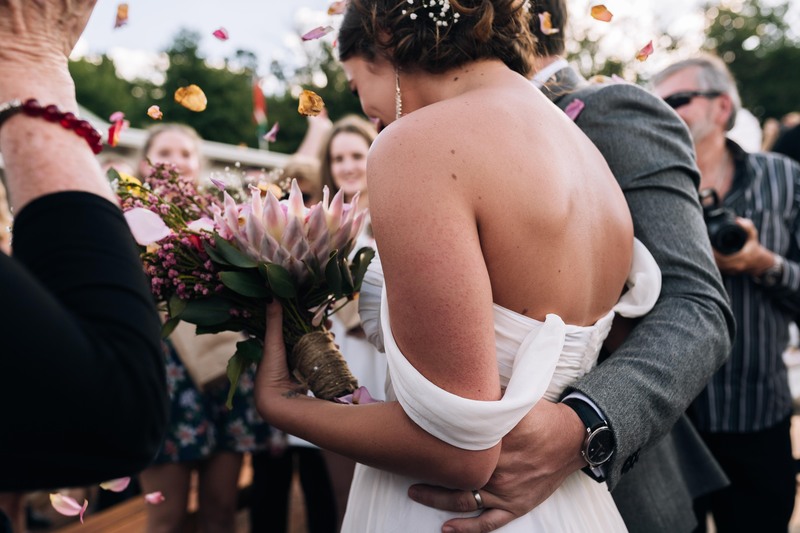 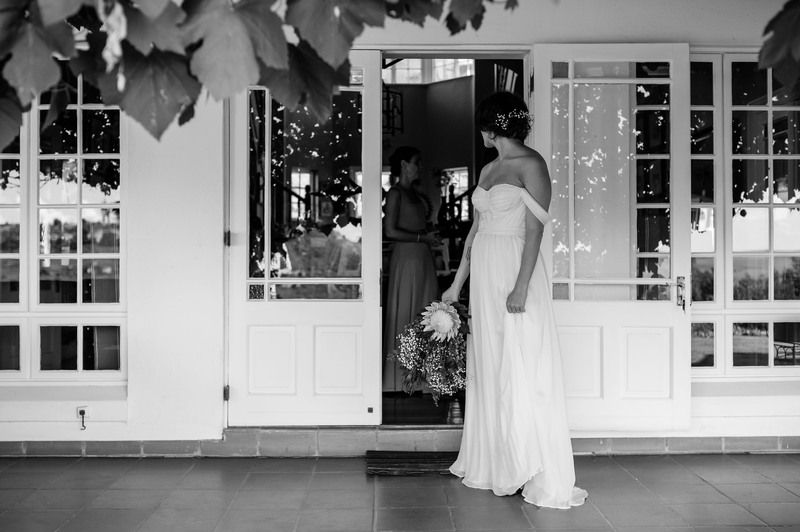 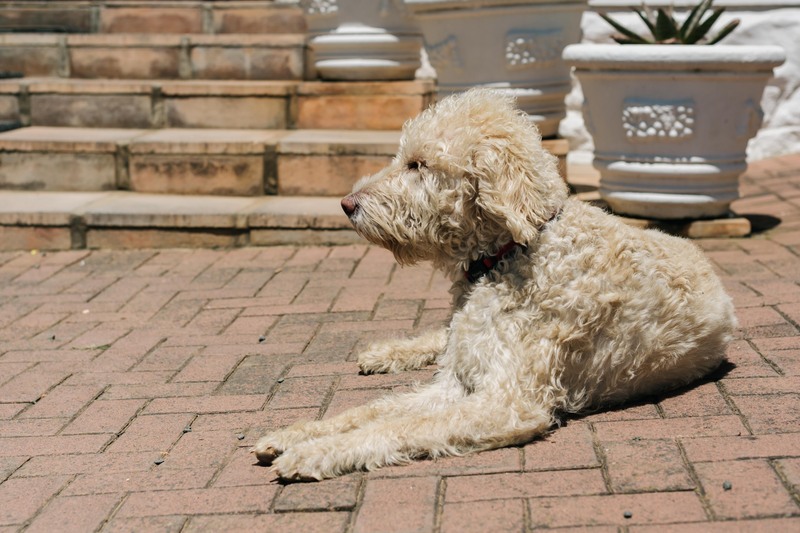 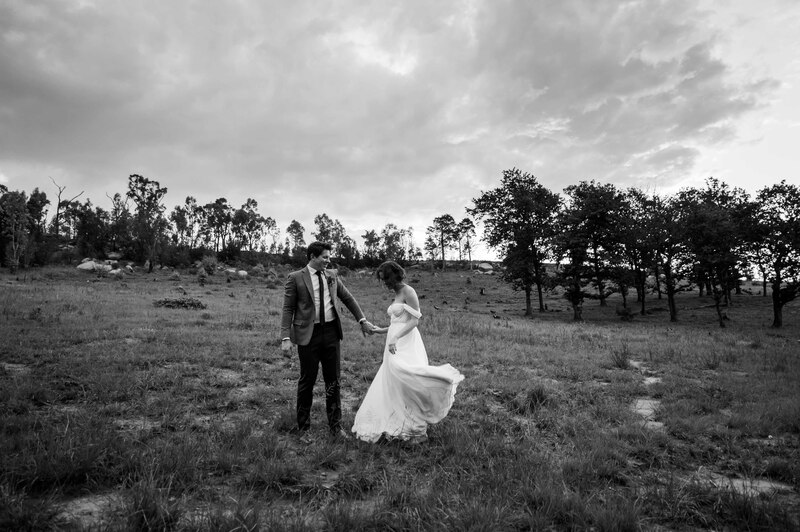 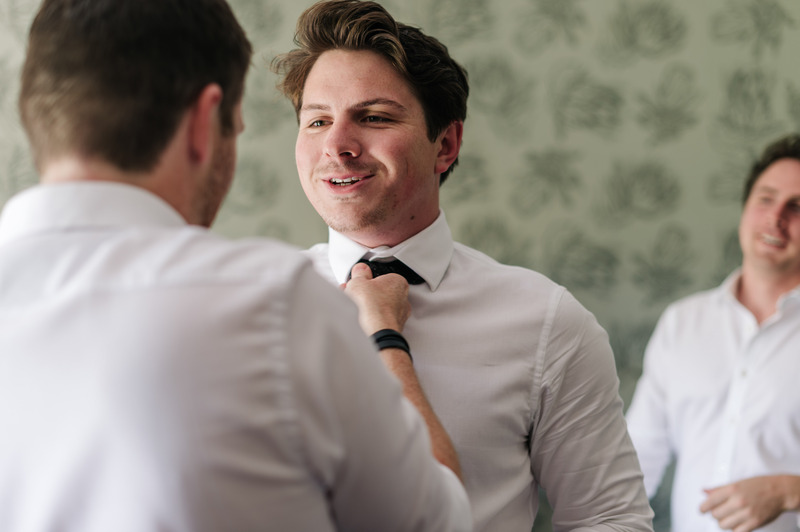 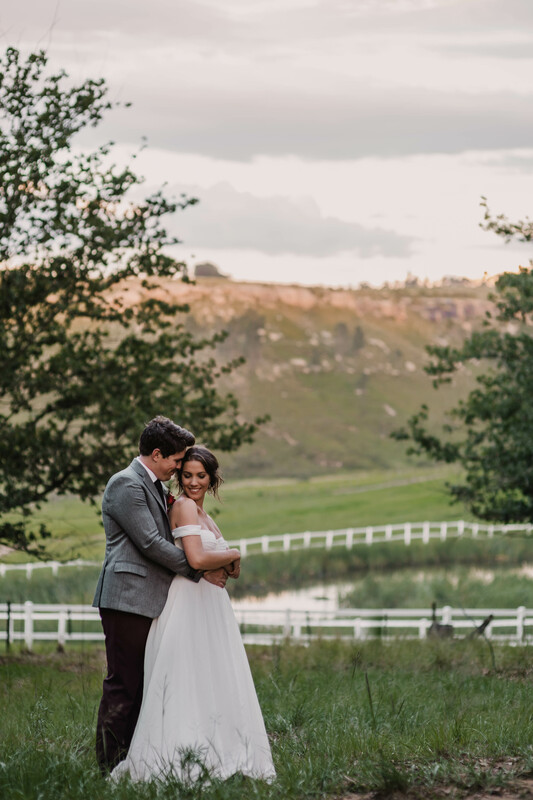 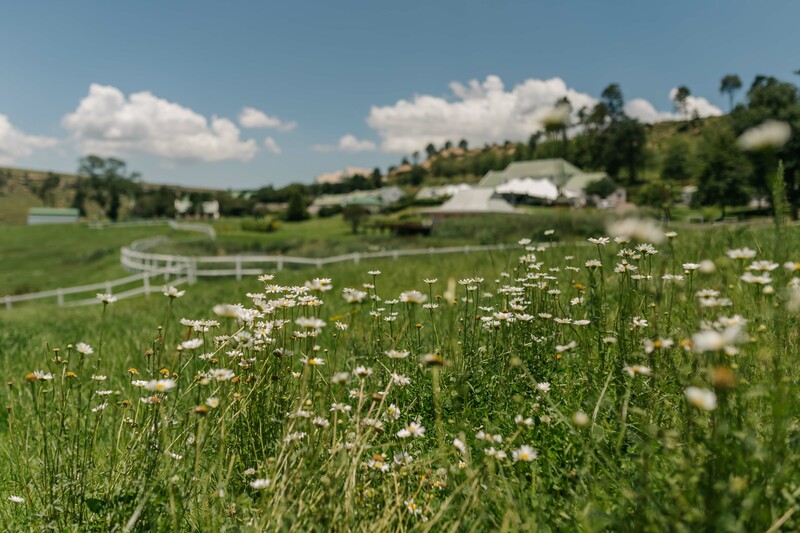 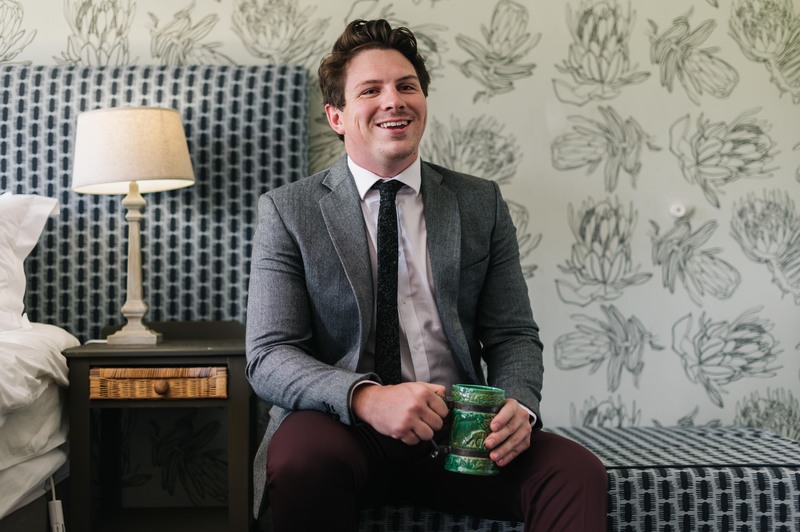 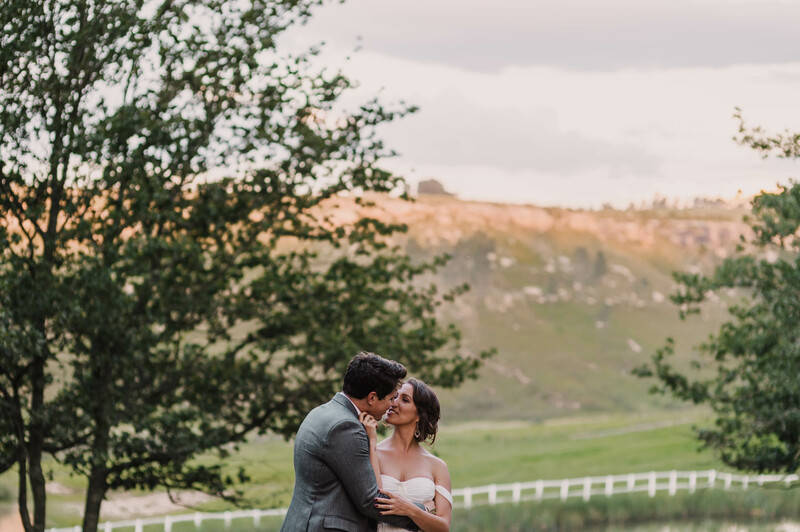 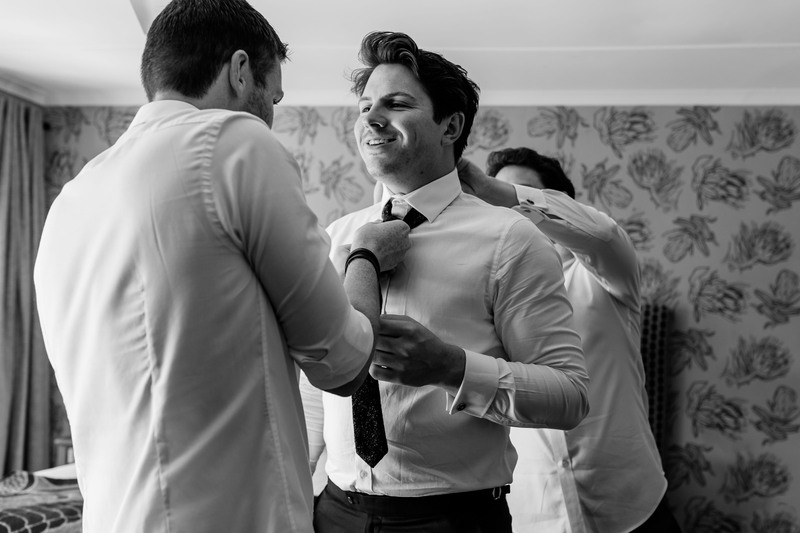 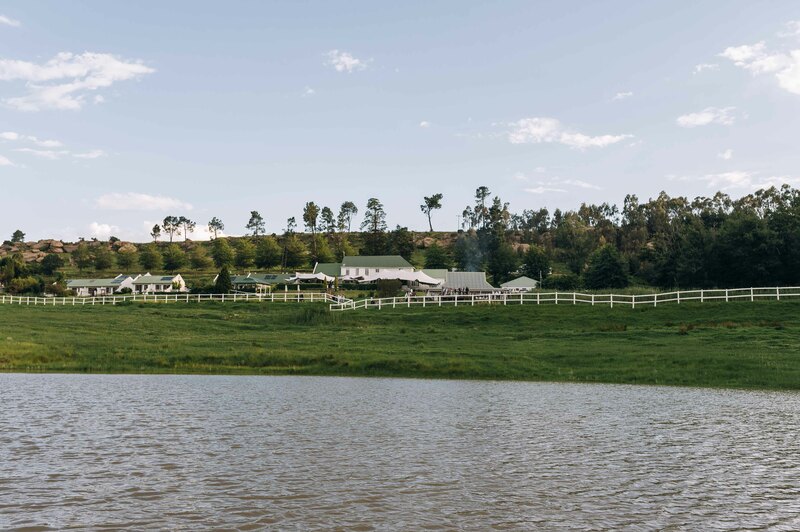 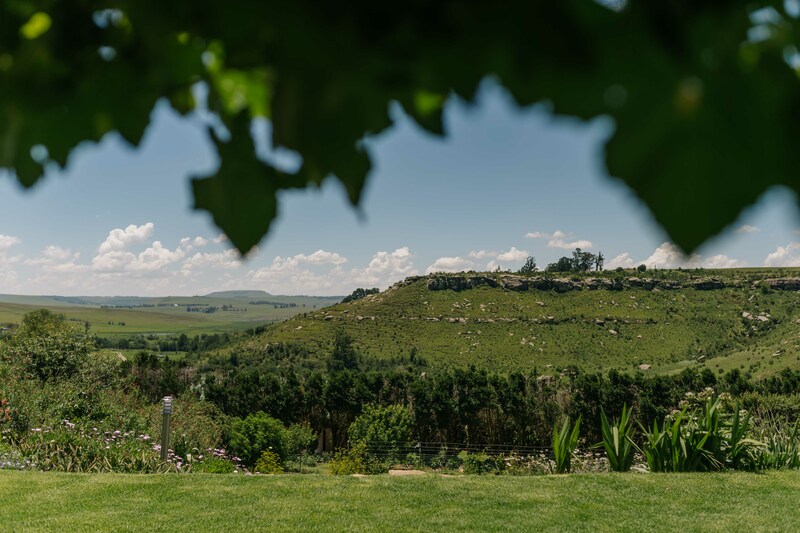 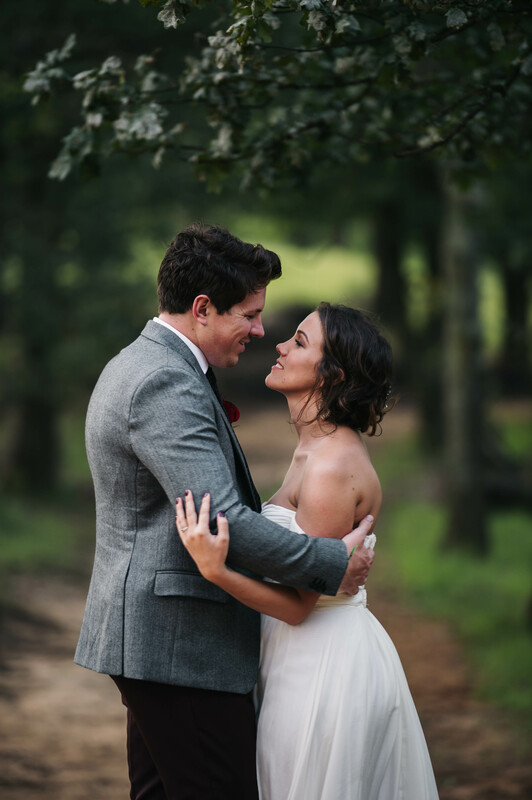 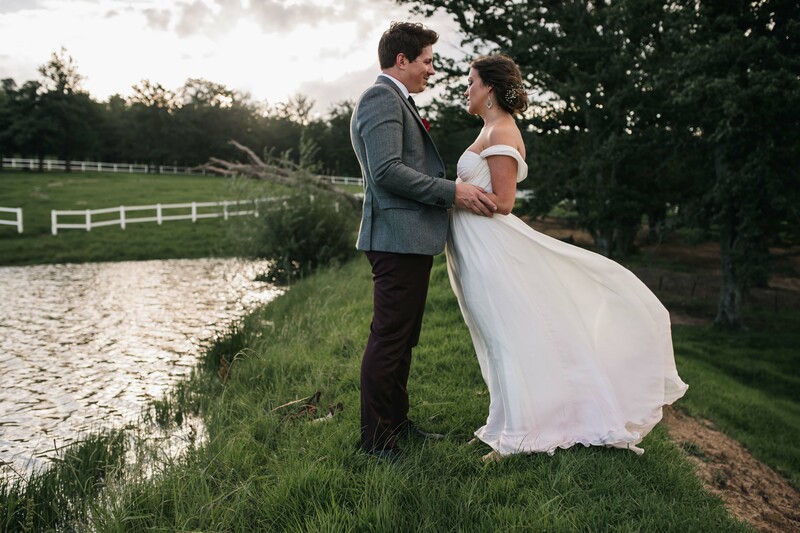 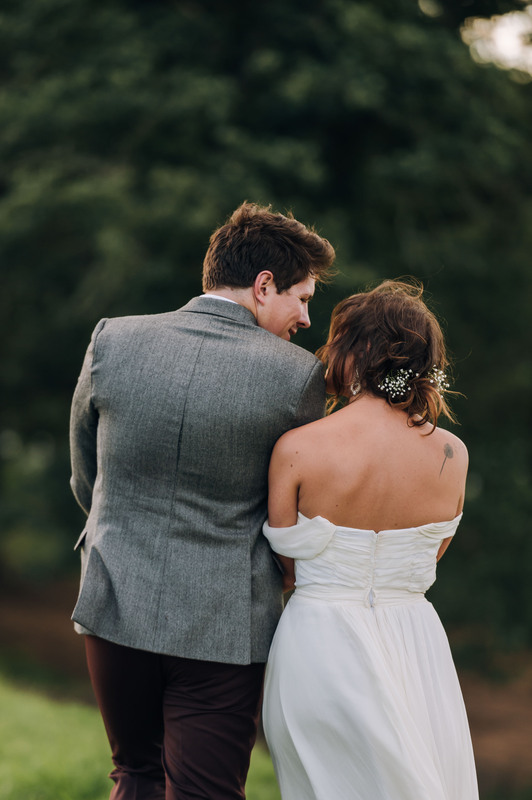 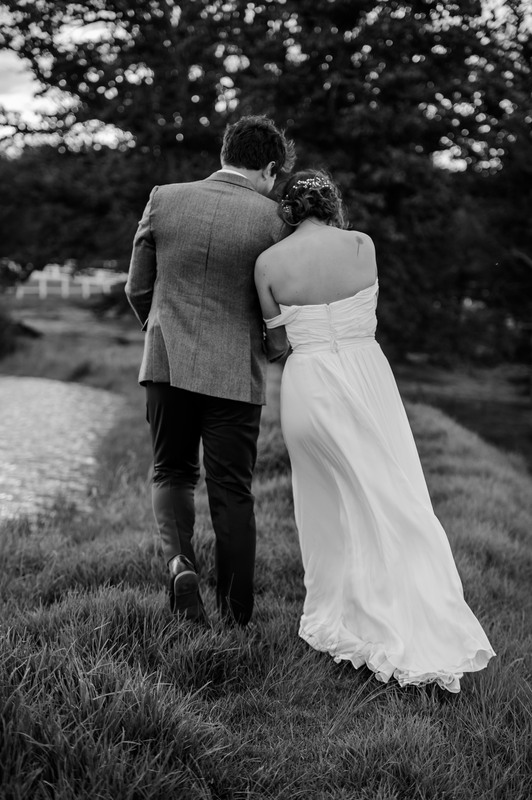 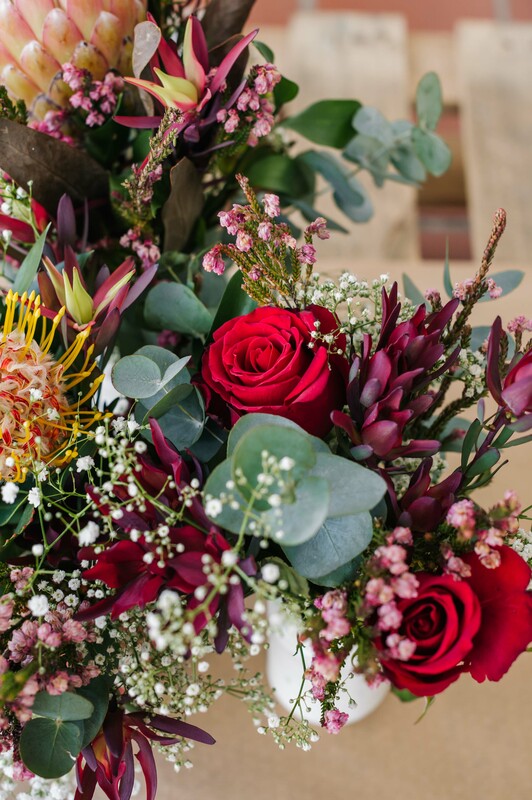 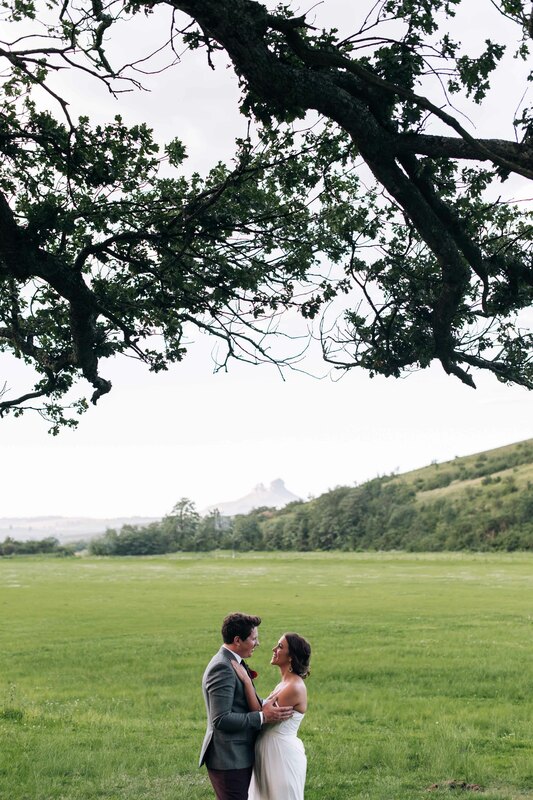 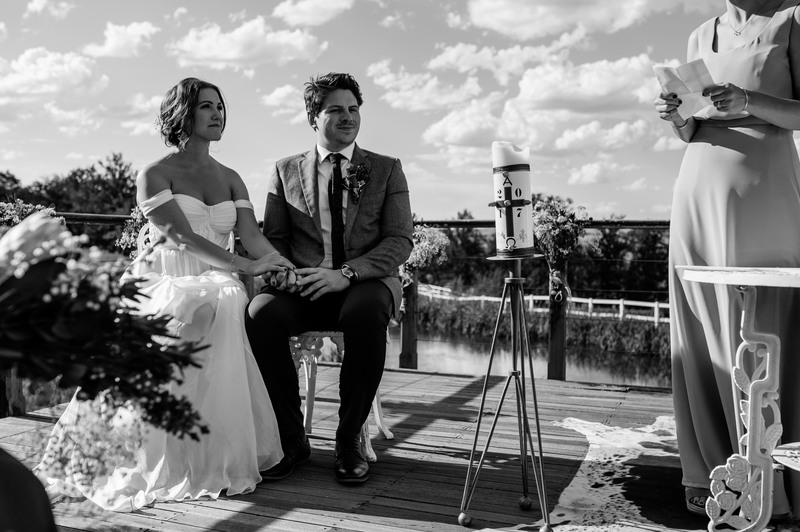 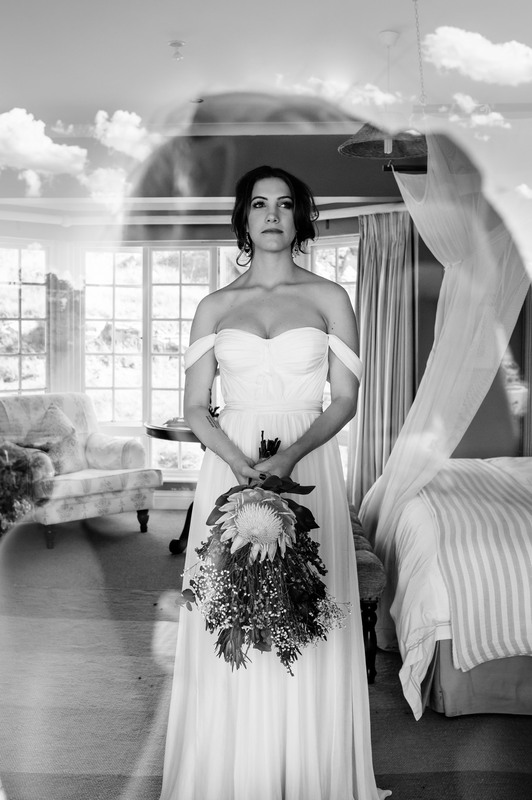 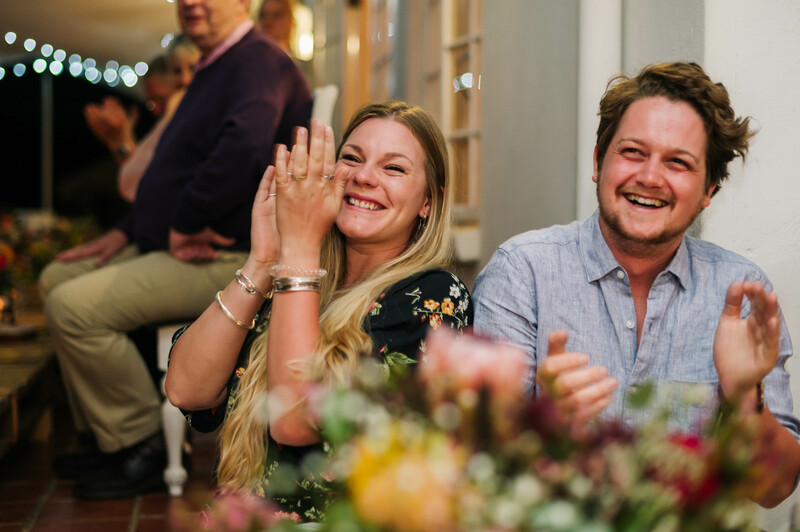 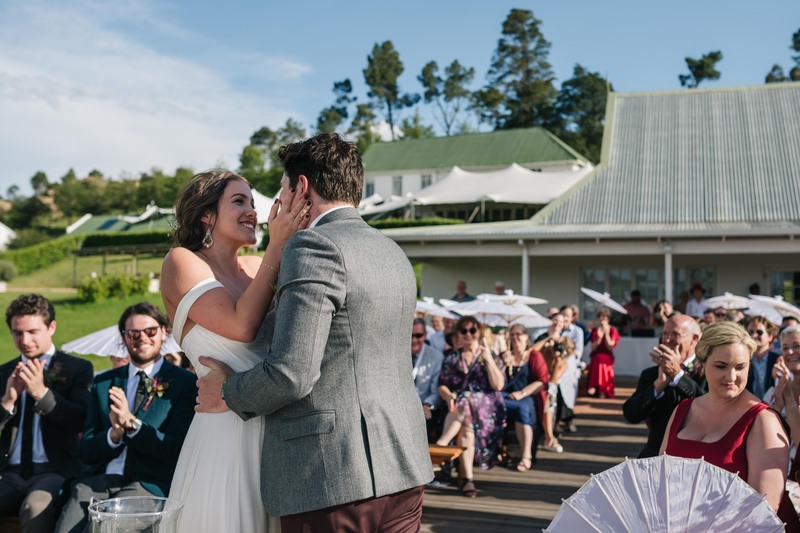 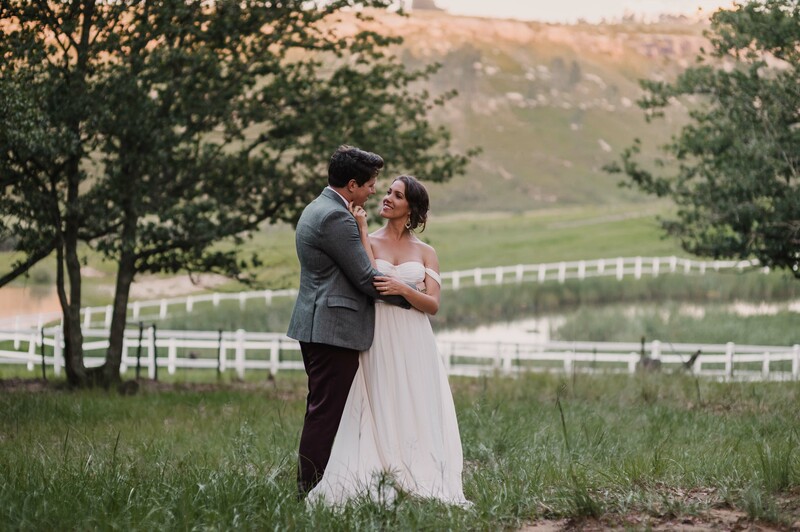 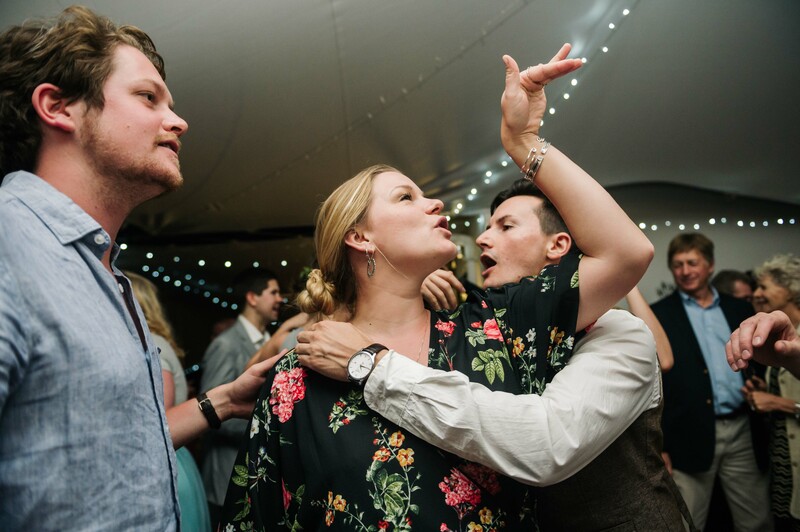 Their wedding took place on the 31st of December 2017 in the beautiful green Van Reenen. 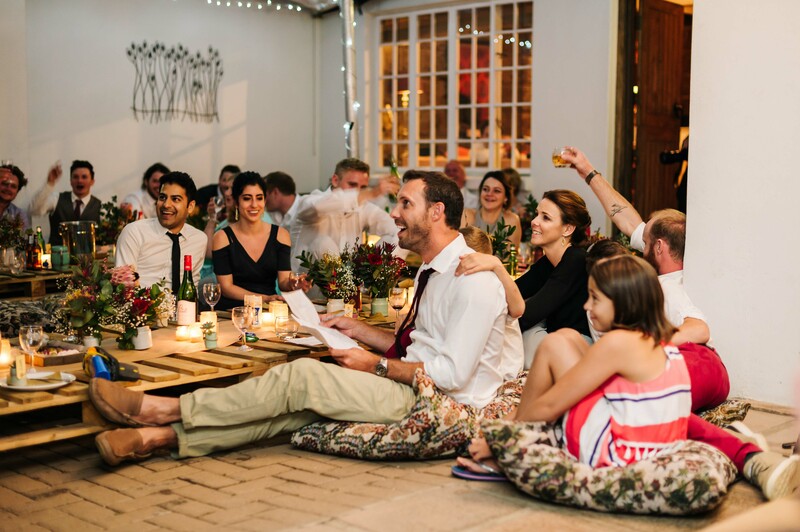 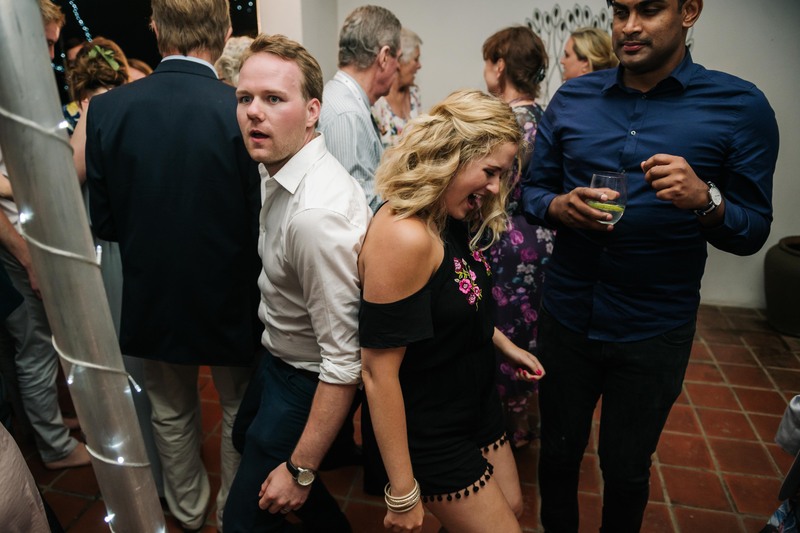 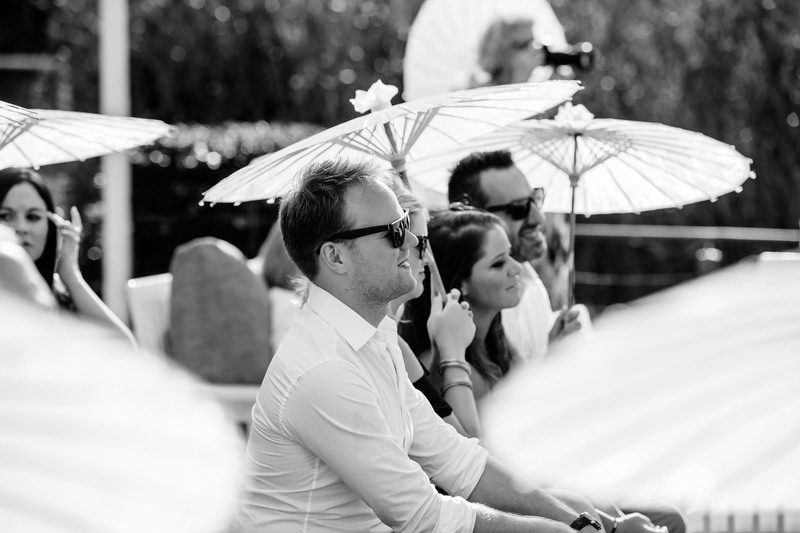 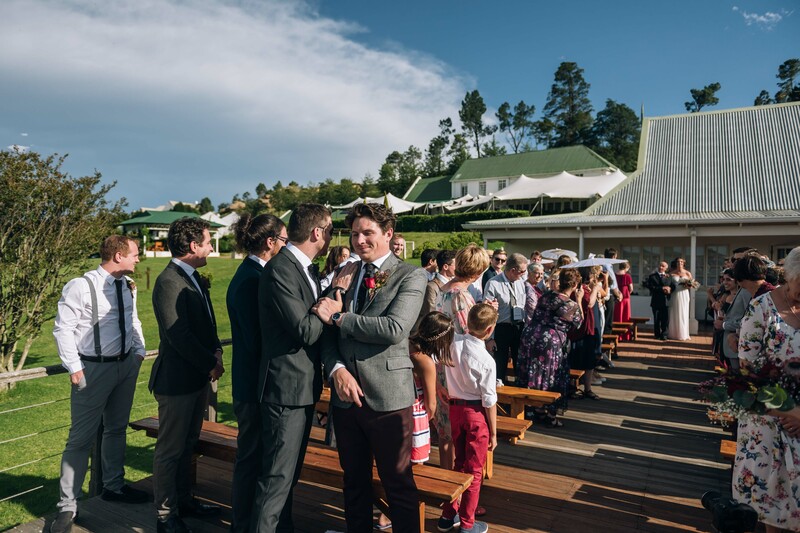 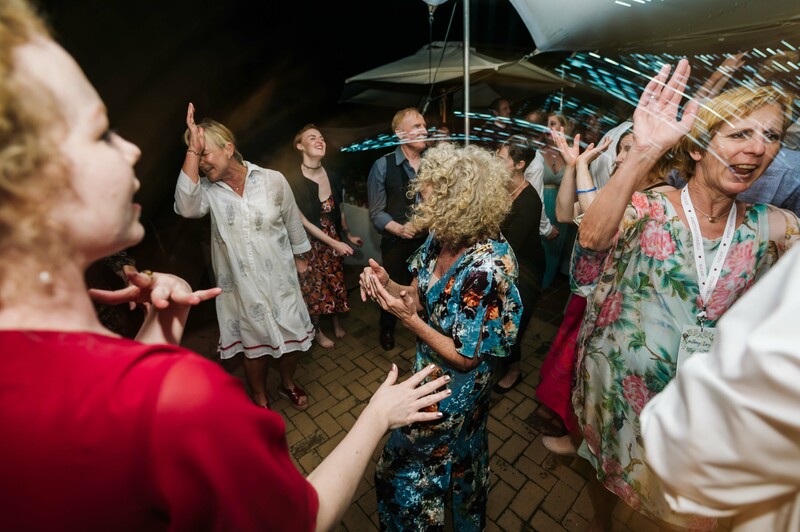 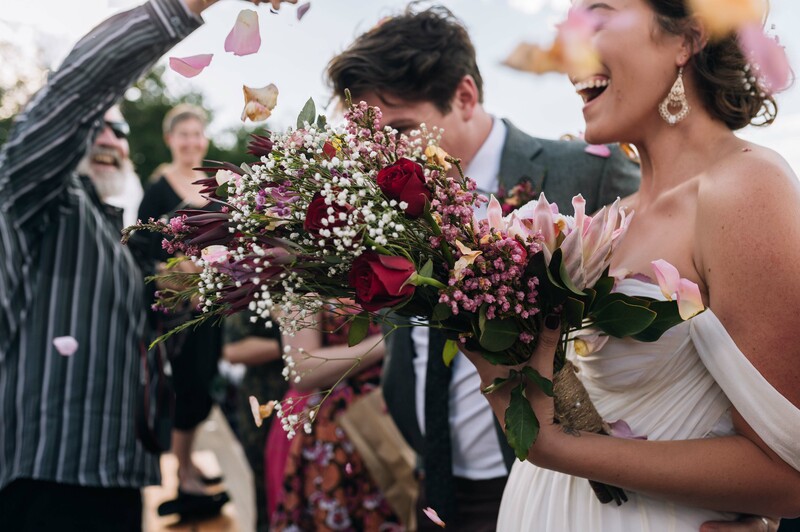 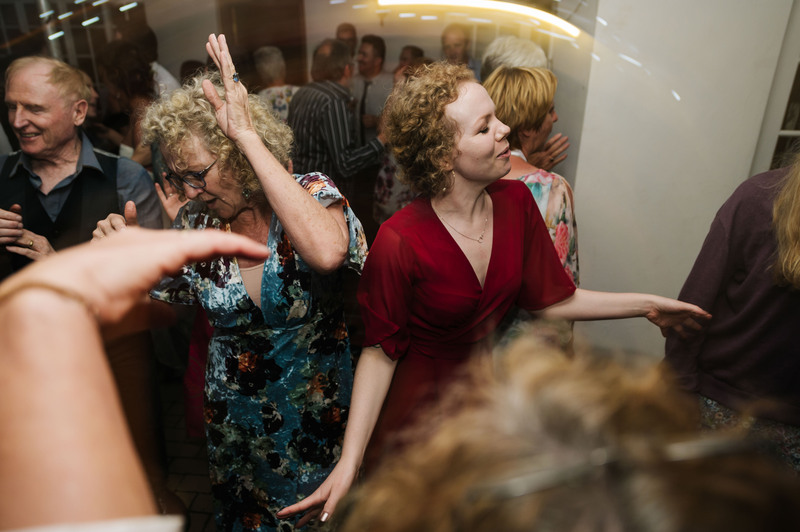 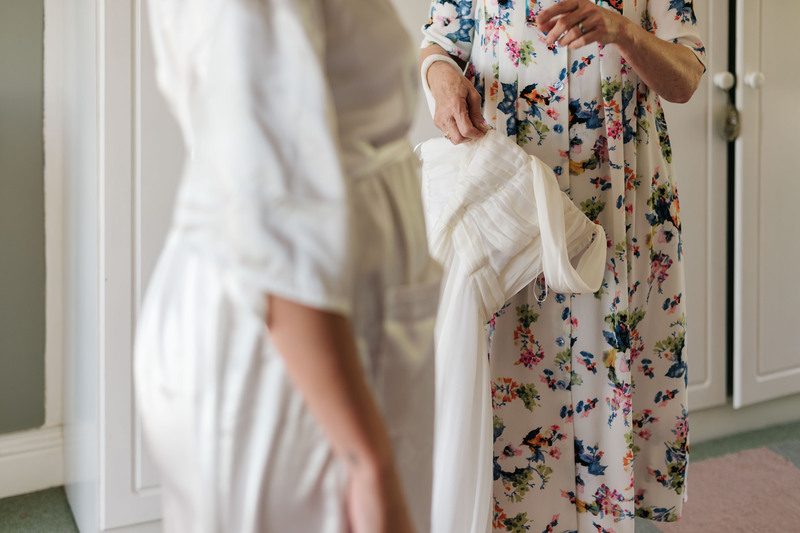 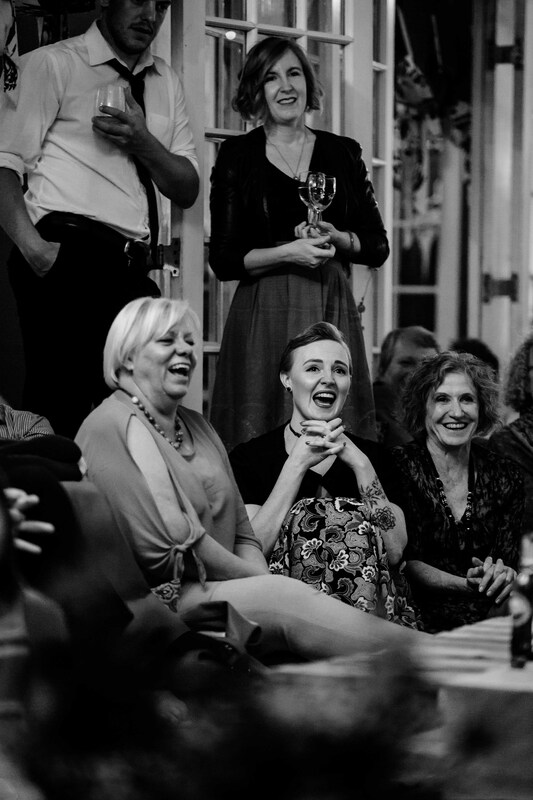 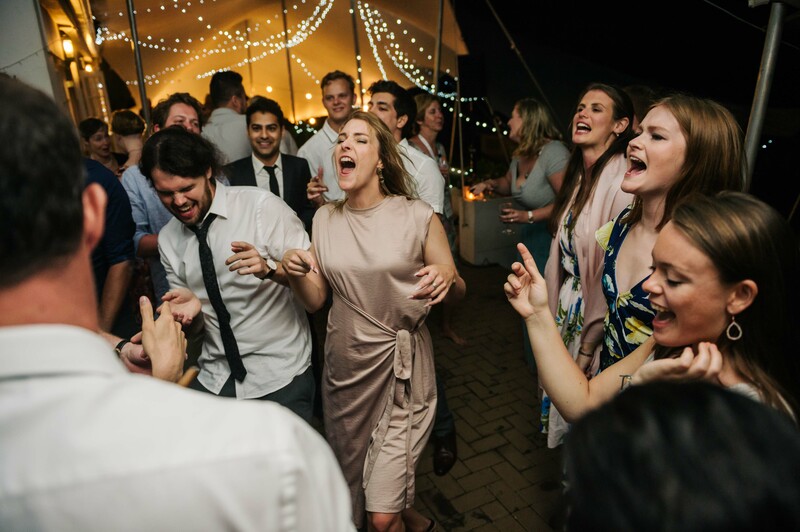 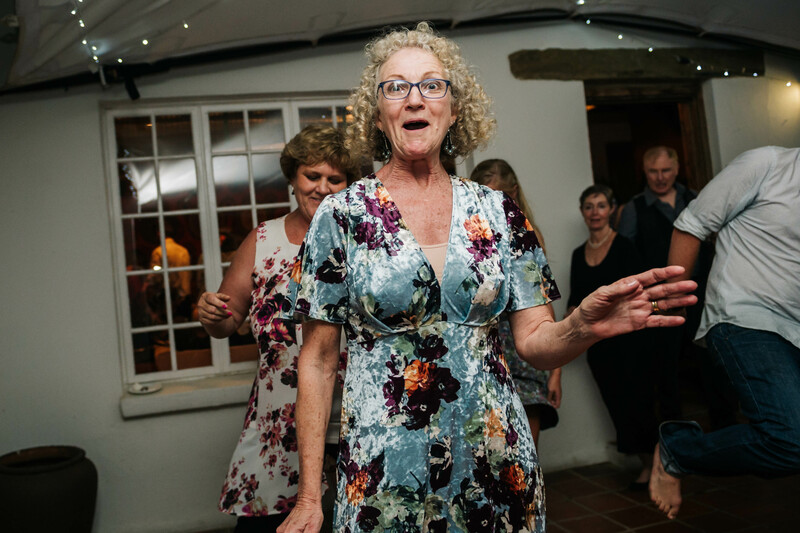 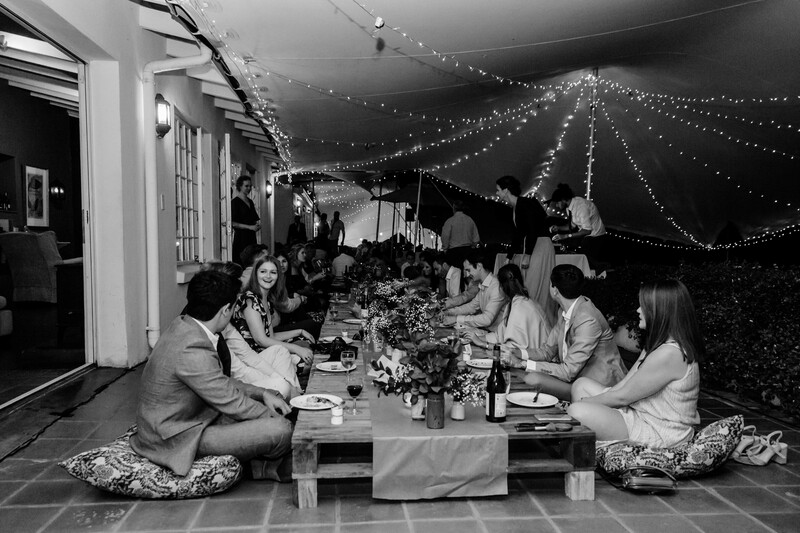 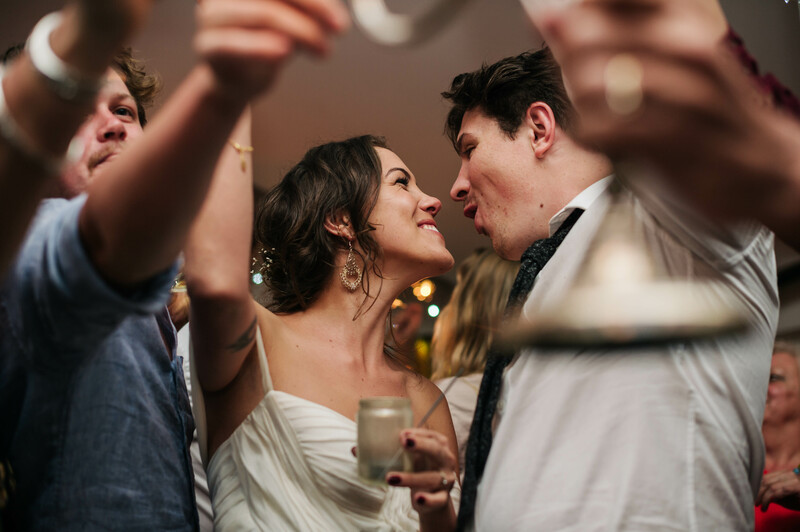 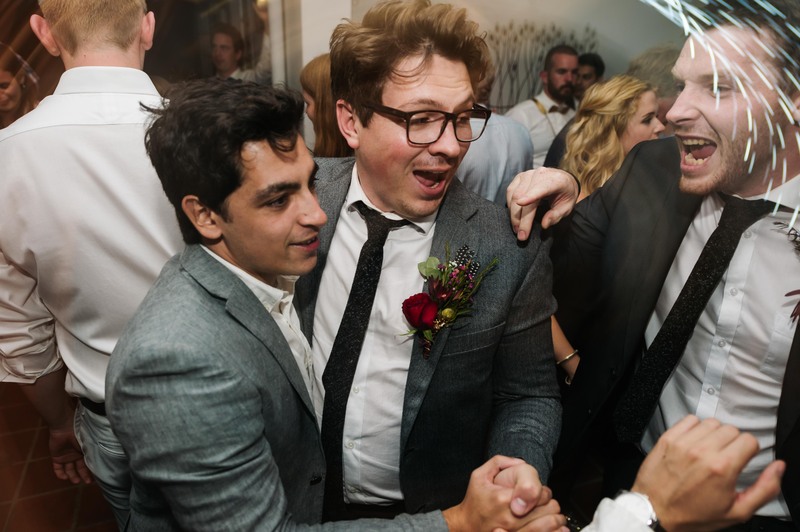 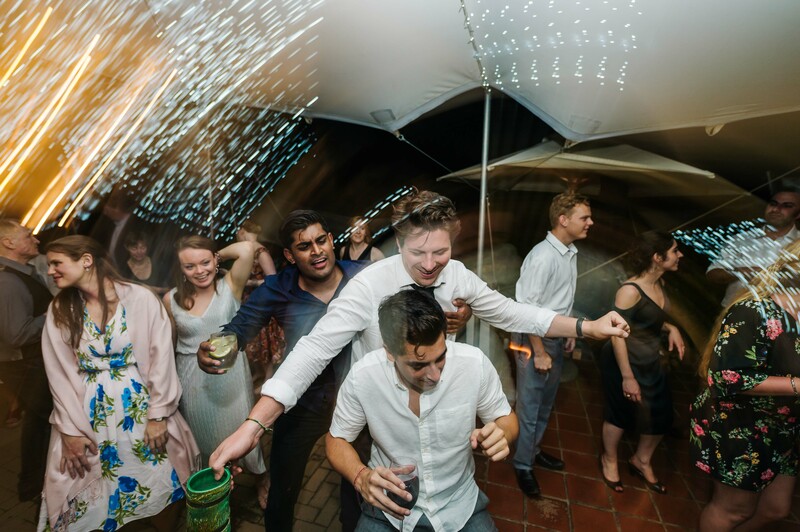 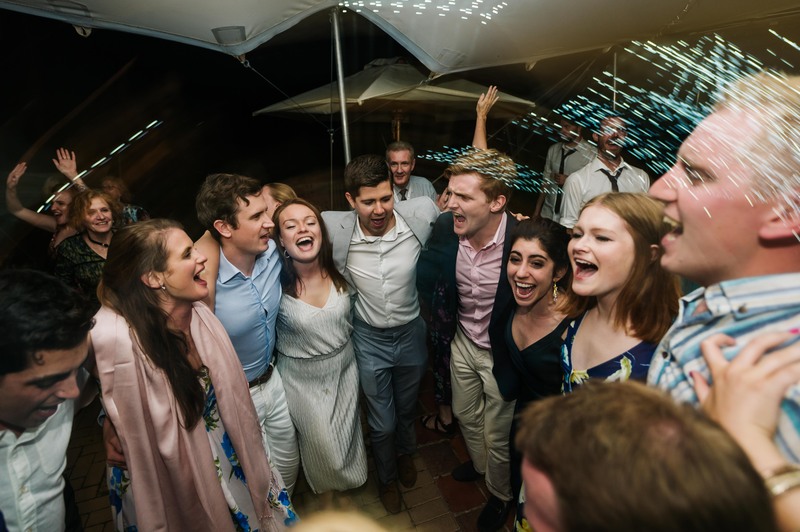 The celebrations started with close friends and family around the couple showering them with love and good vibrations. 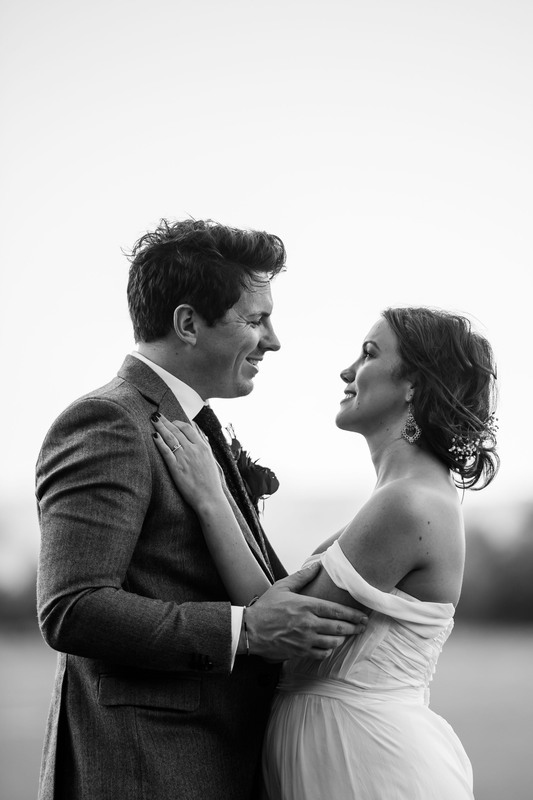 The whole day was overwhelmingly filled with heartwarming exchanges of love and joy and unforgettable sweet moments. 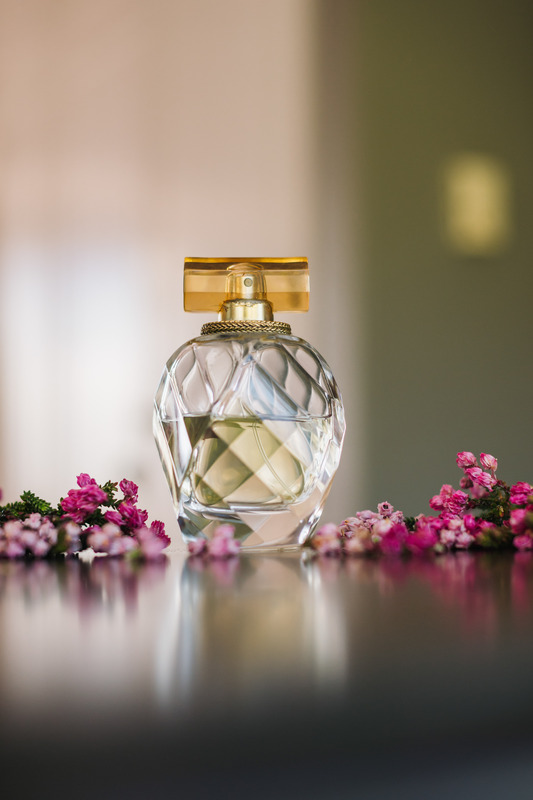 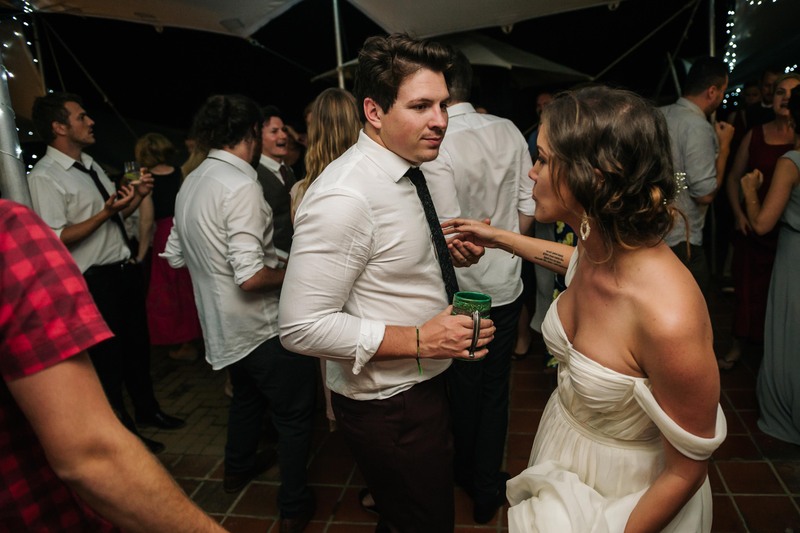 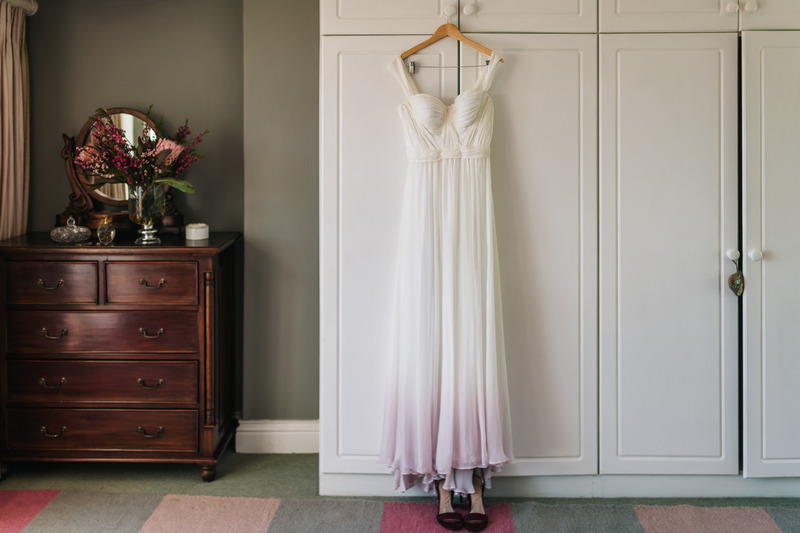 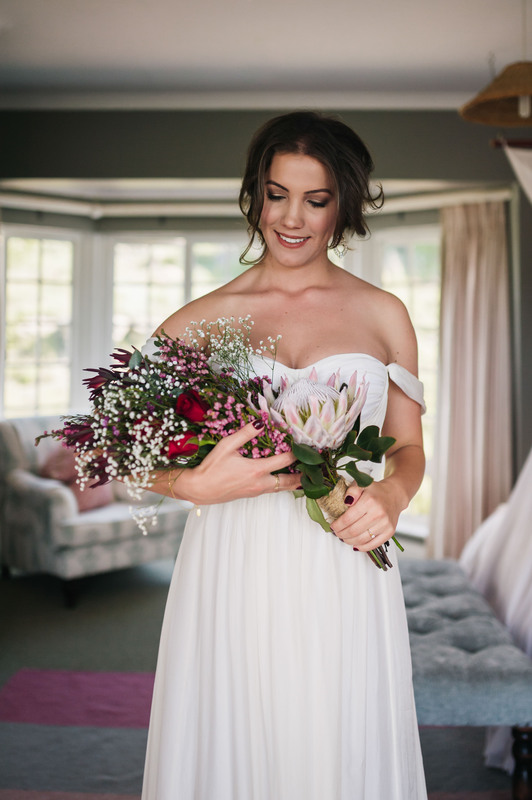 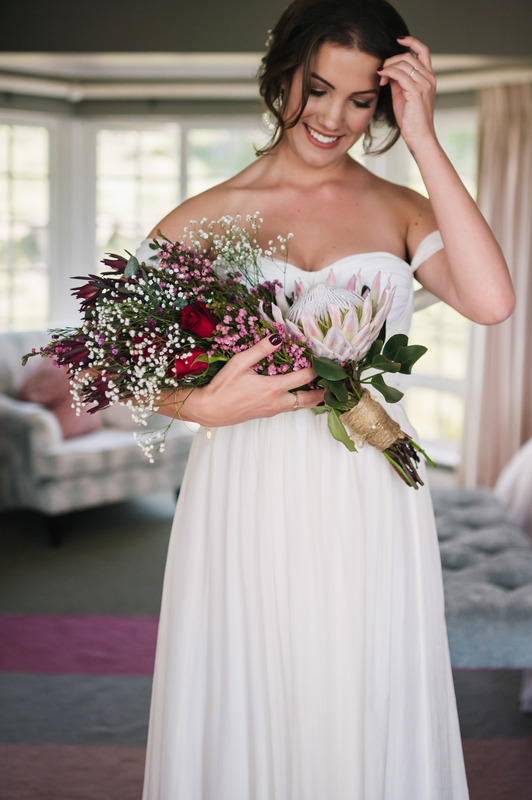 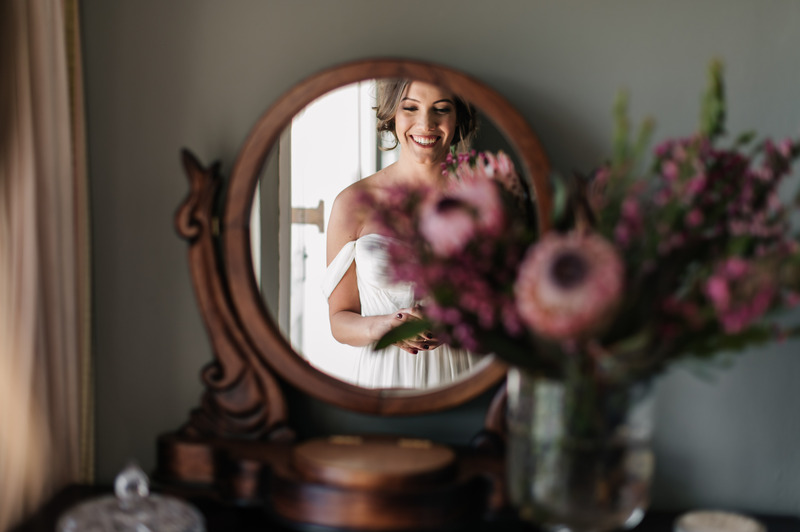 Lucy was dressed in a soft and flowy pink ombre Joel Janse van Vuuren dress which encapsulated her femininity and beauty. 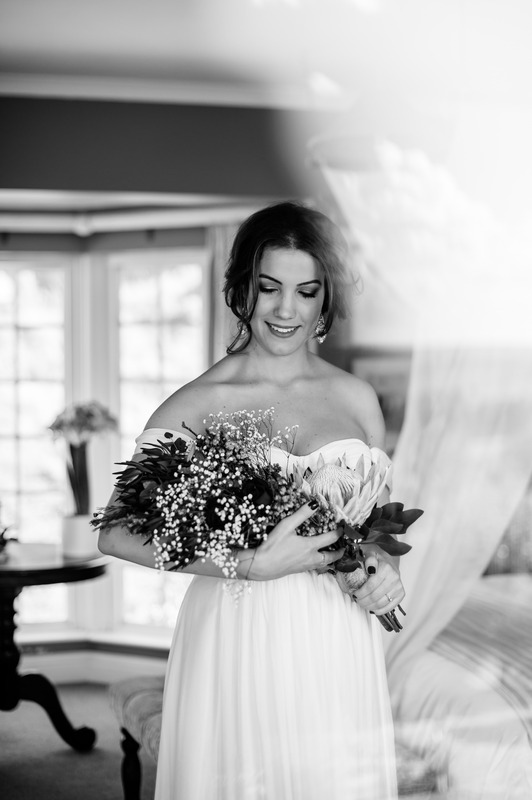 She looked absolutely breathtaking. 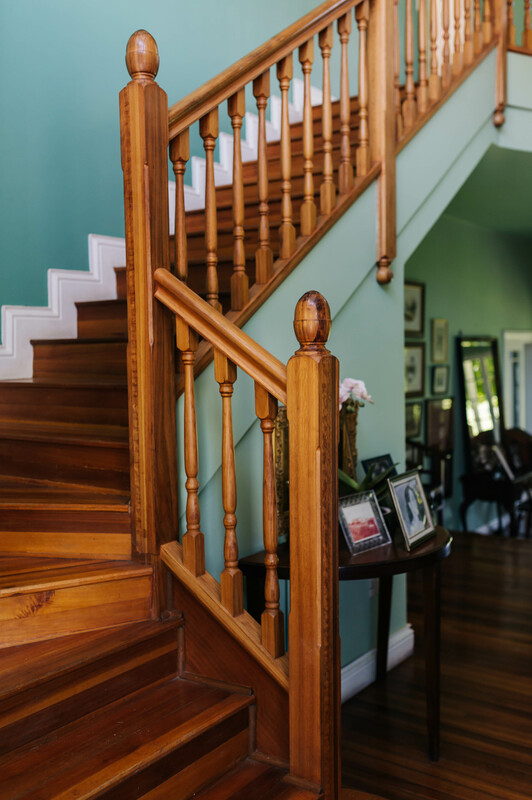 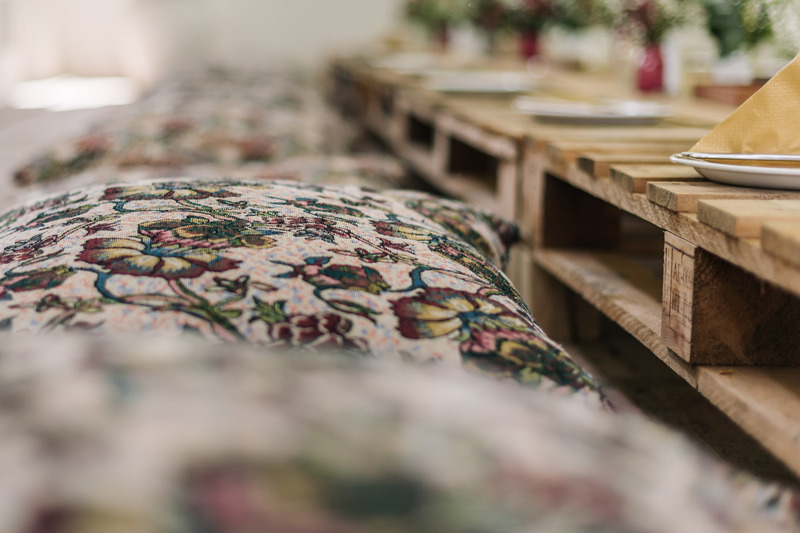 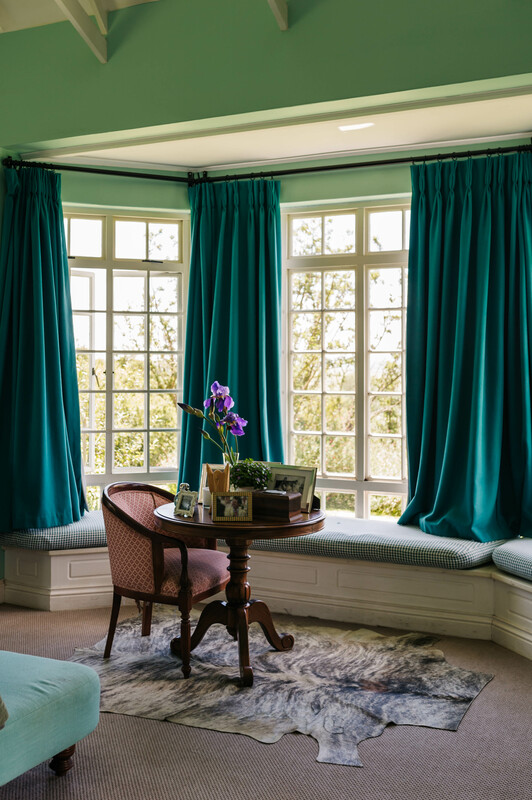 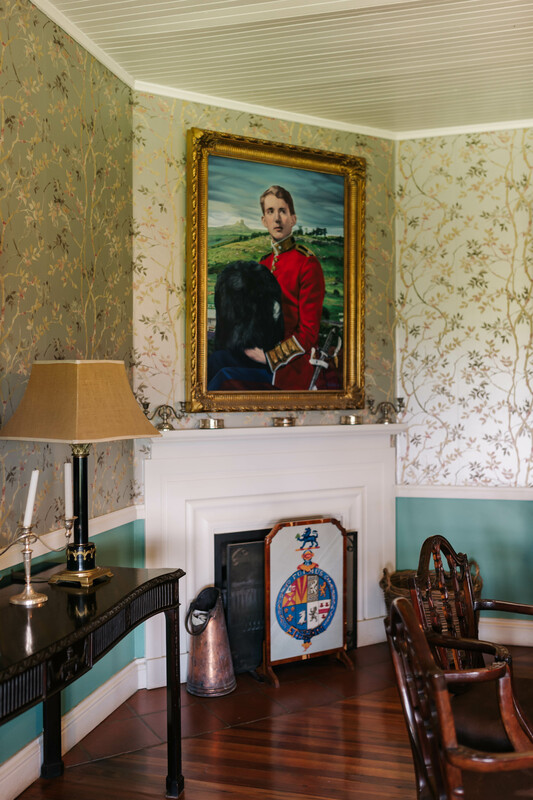 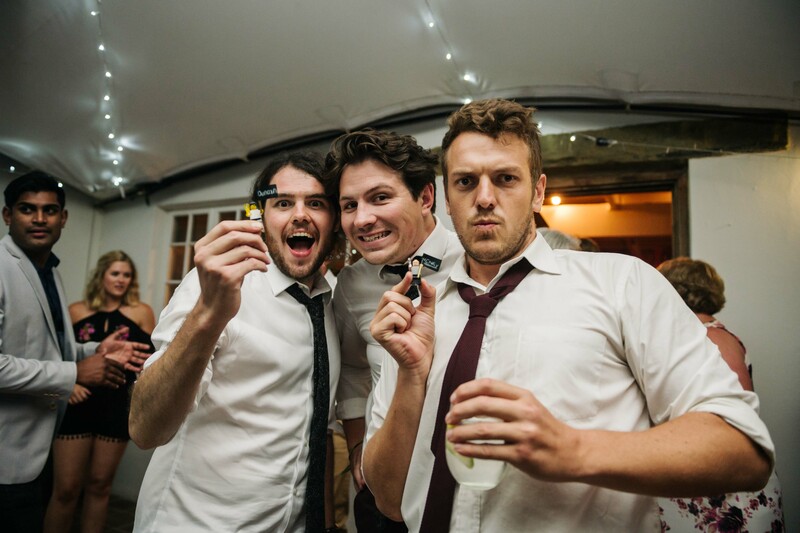 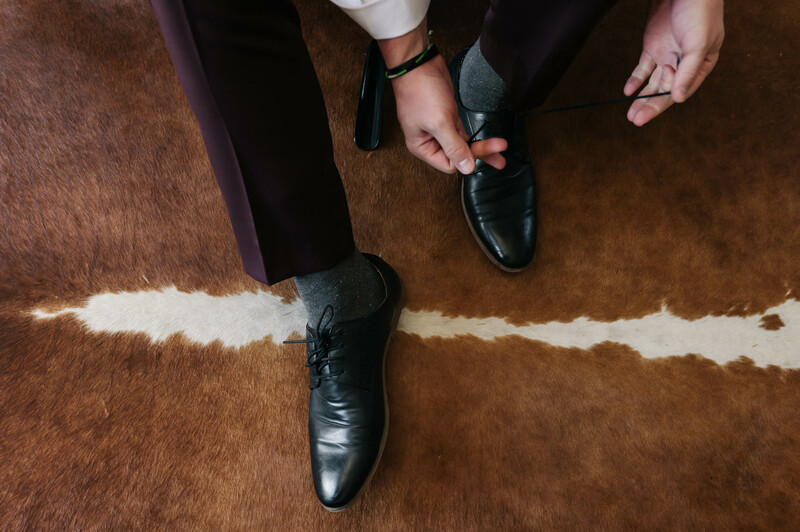 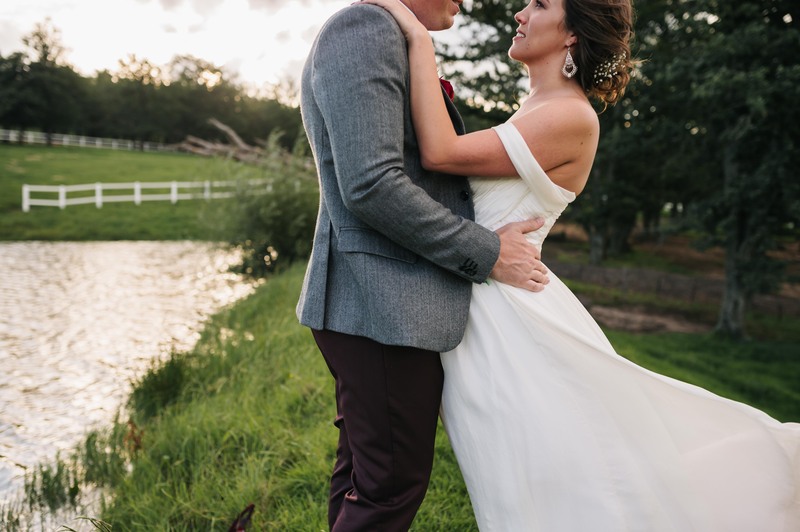 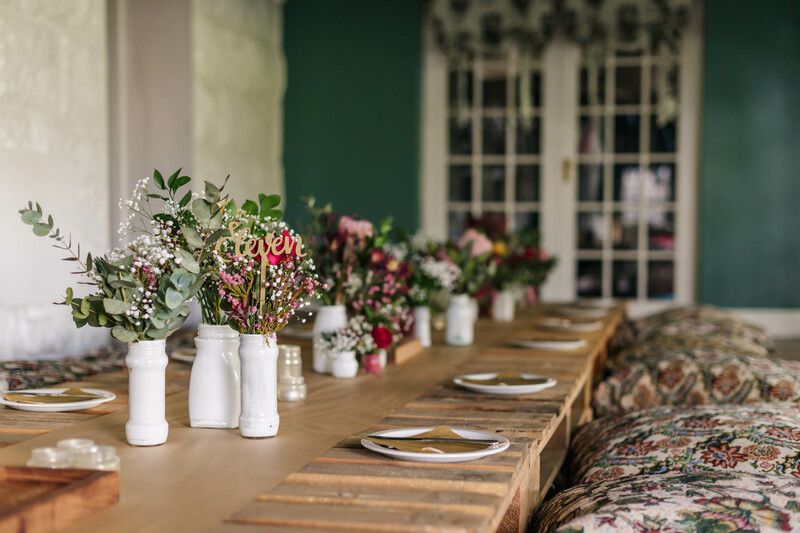 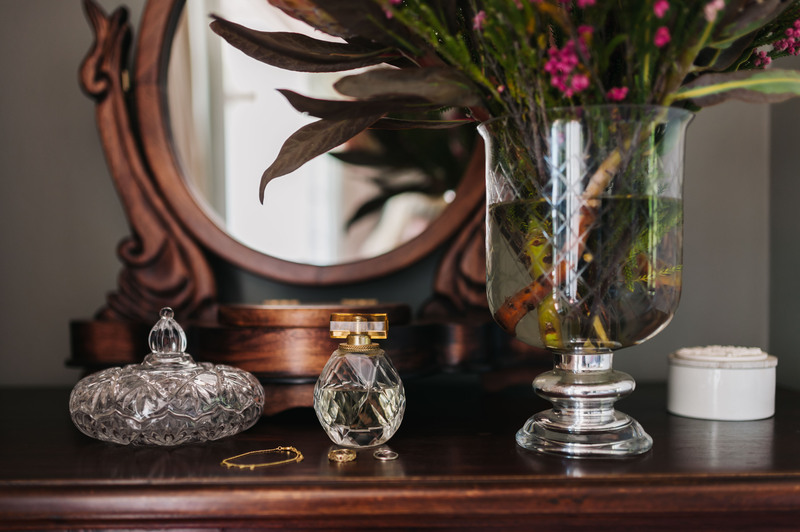 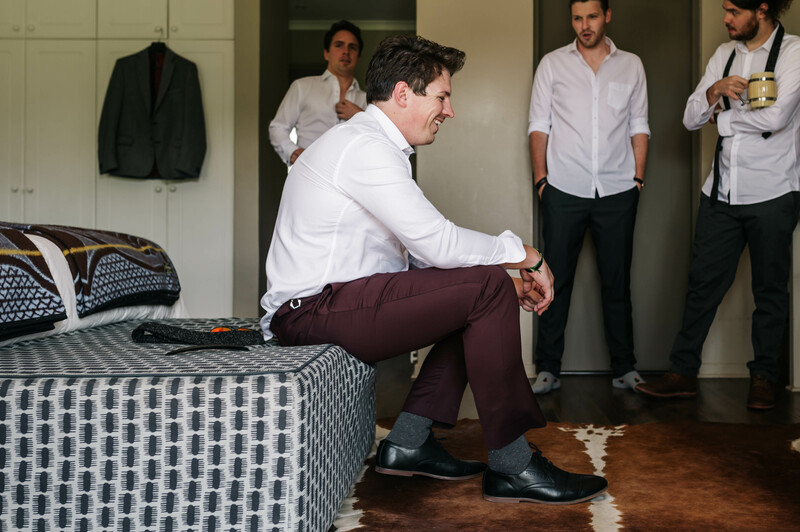 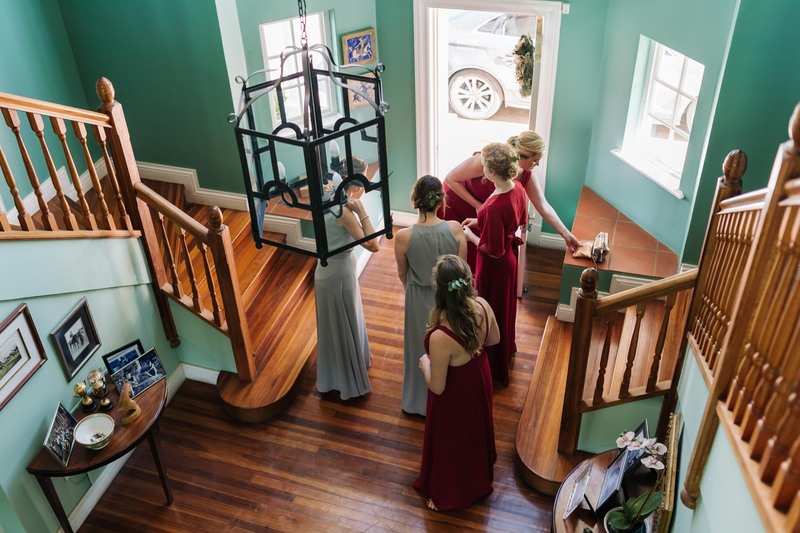 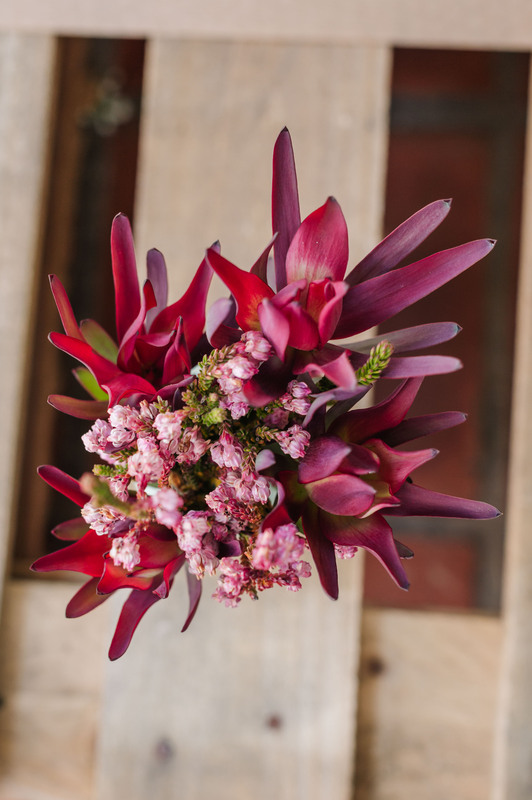 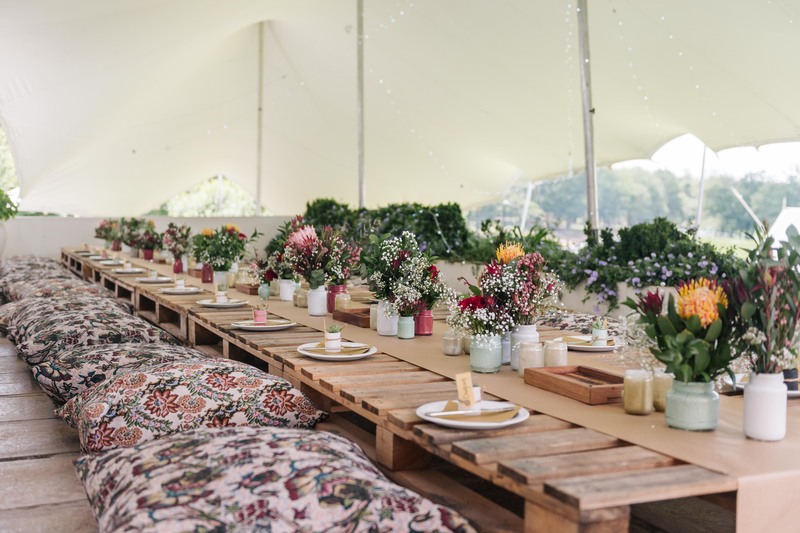 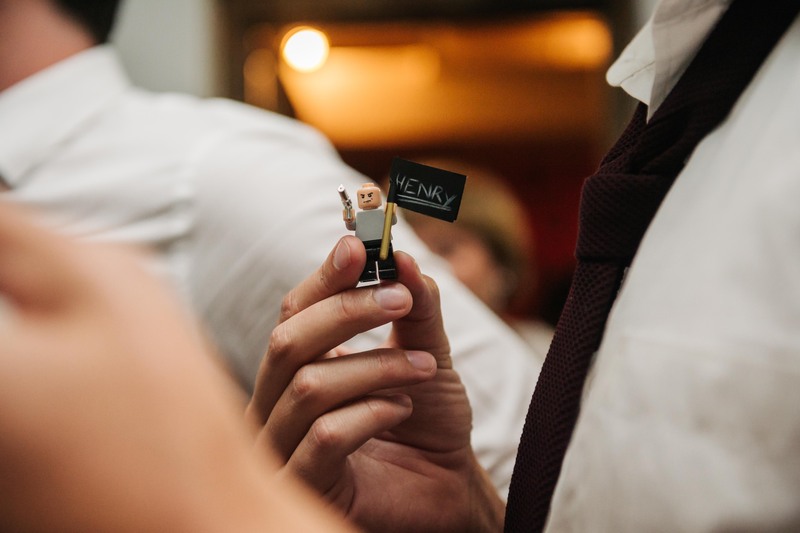 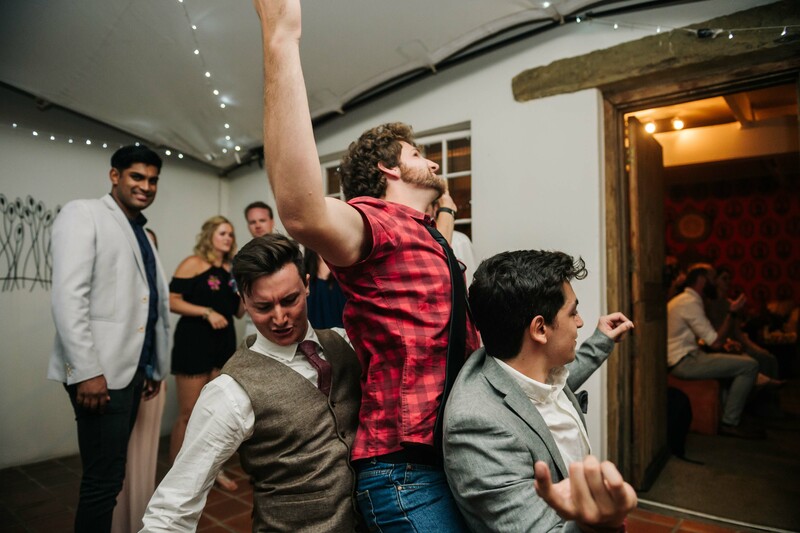 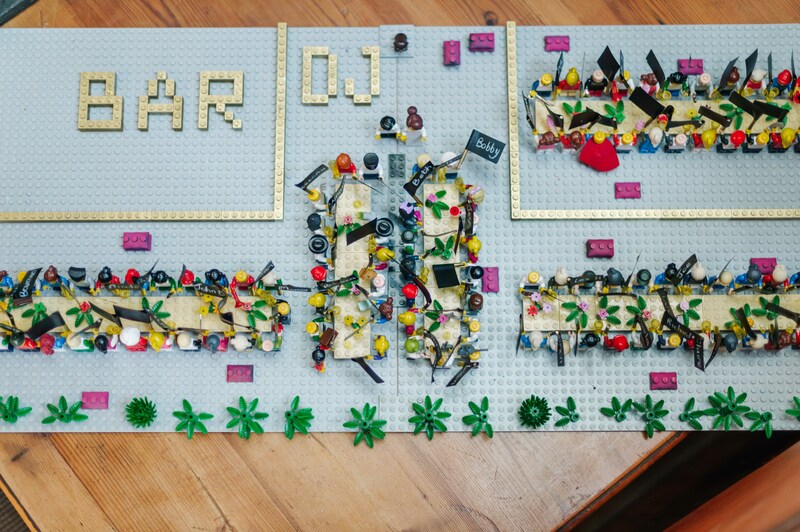 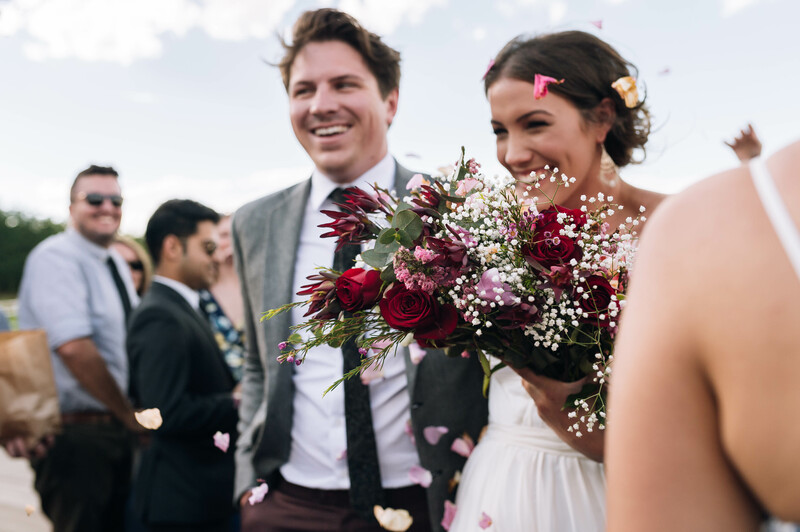 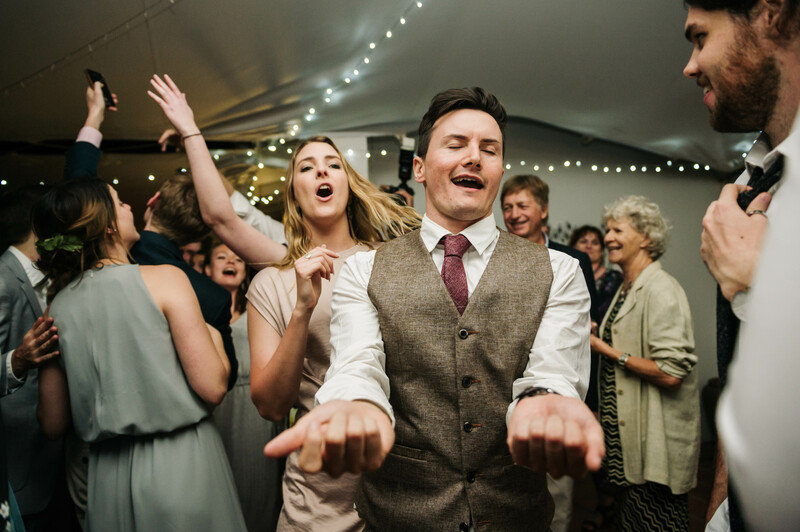 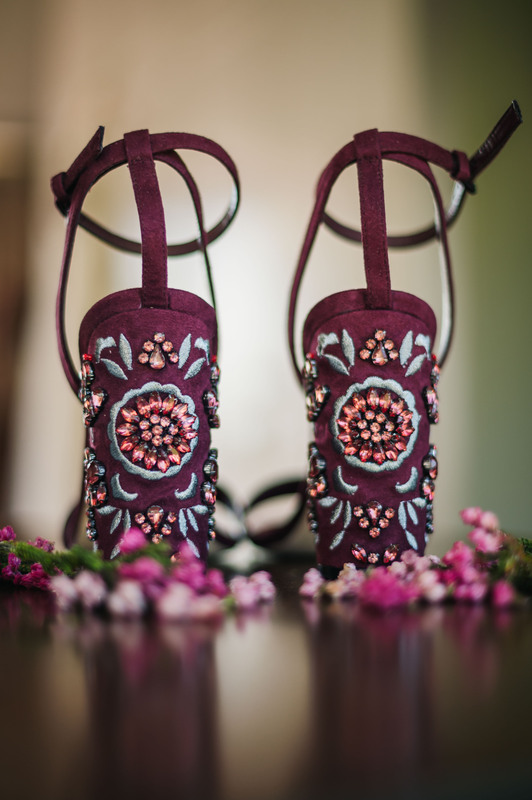 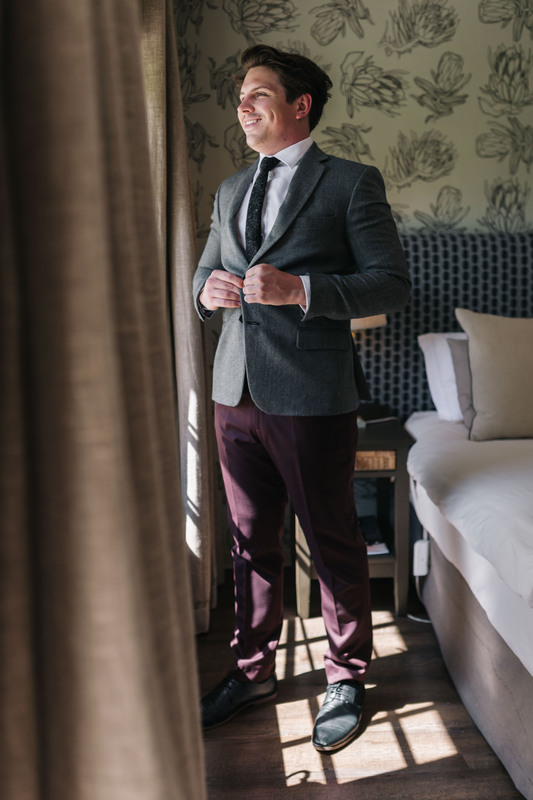 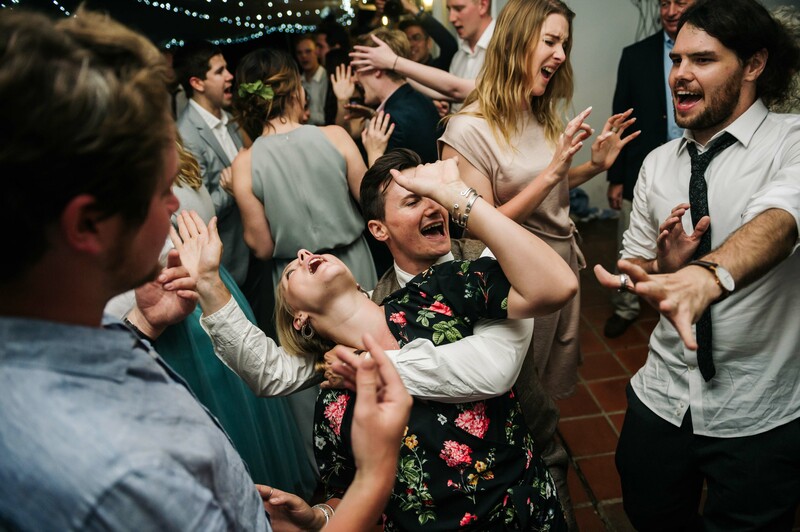 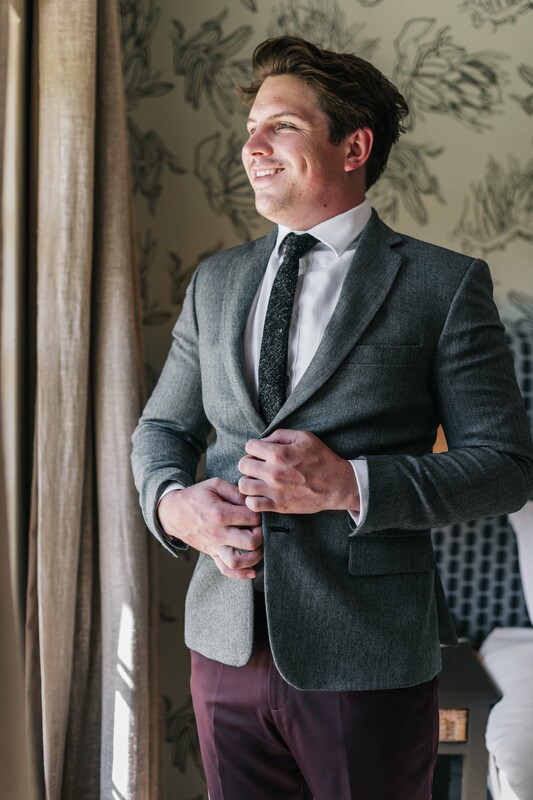 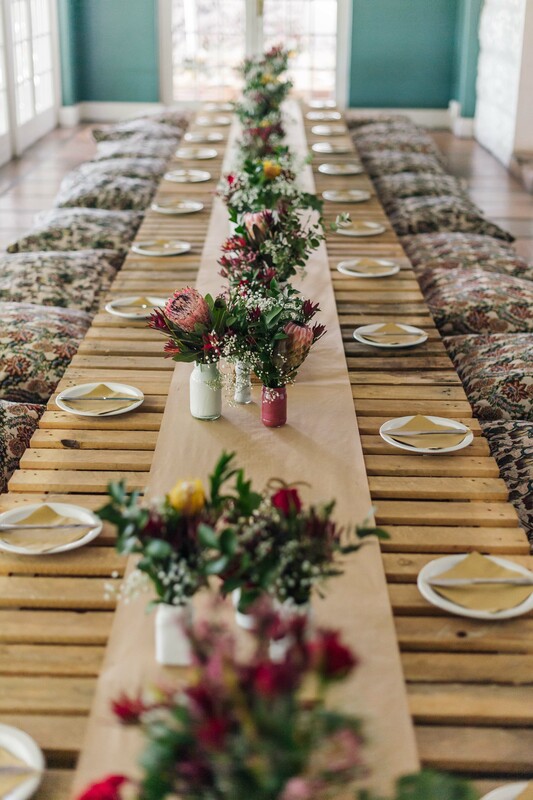 The details of their special day were fun and exciting, from table placements being made from Lego men to sitting on pillows made by the bride and groom for the occasion in true bohemian style. 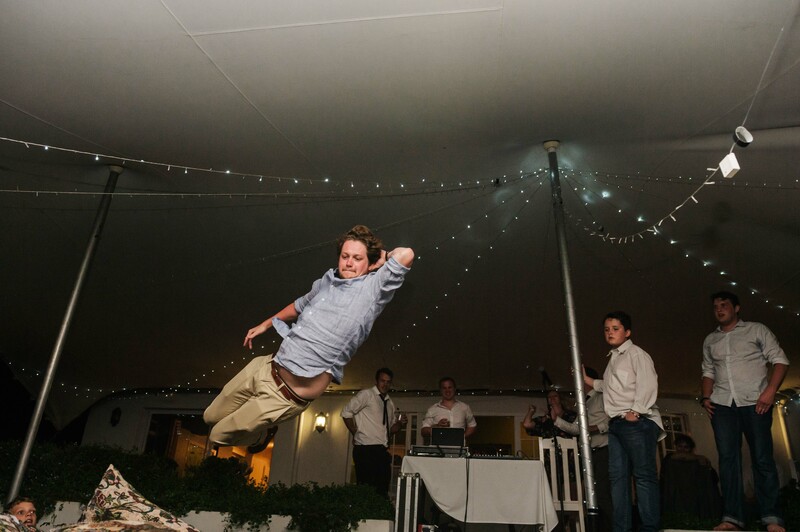 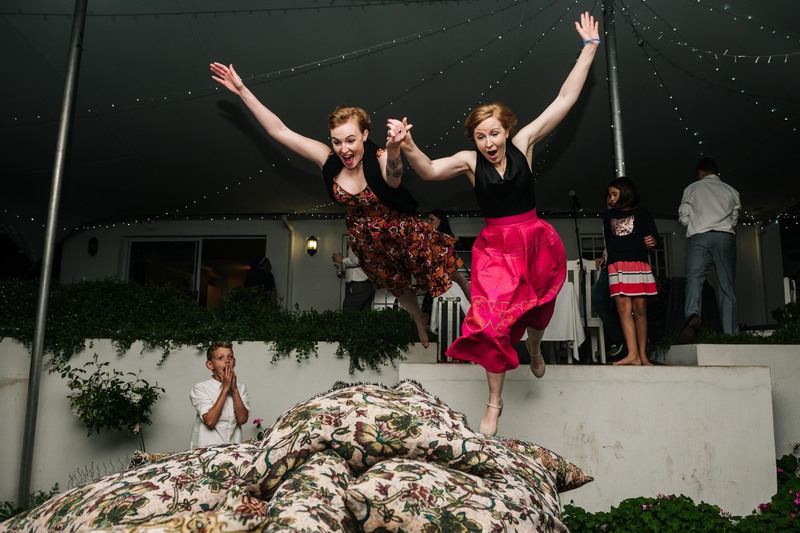 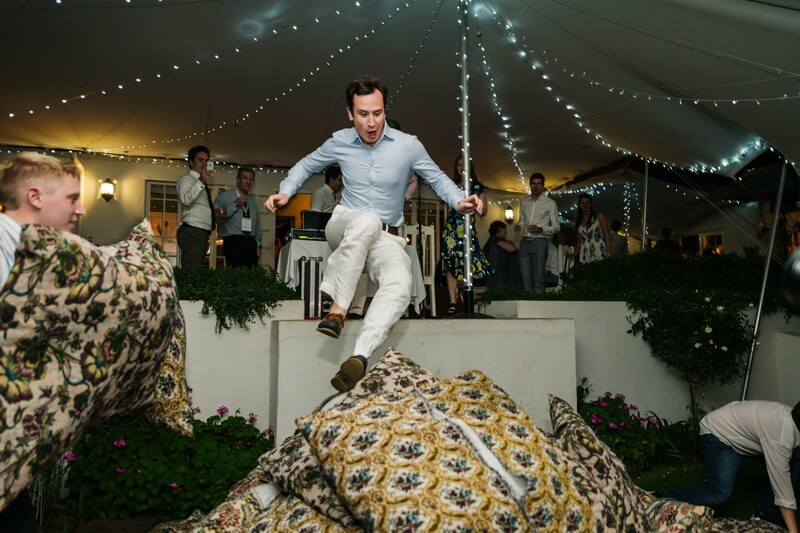 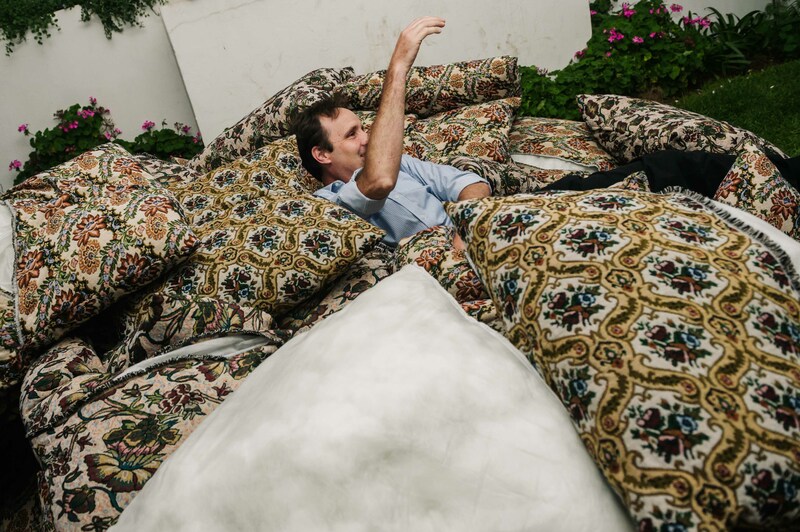 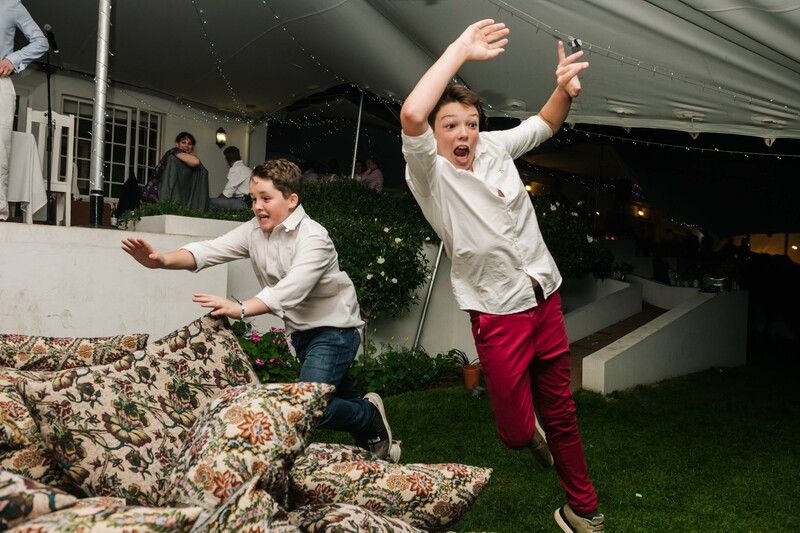 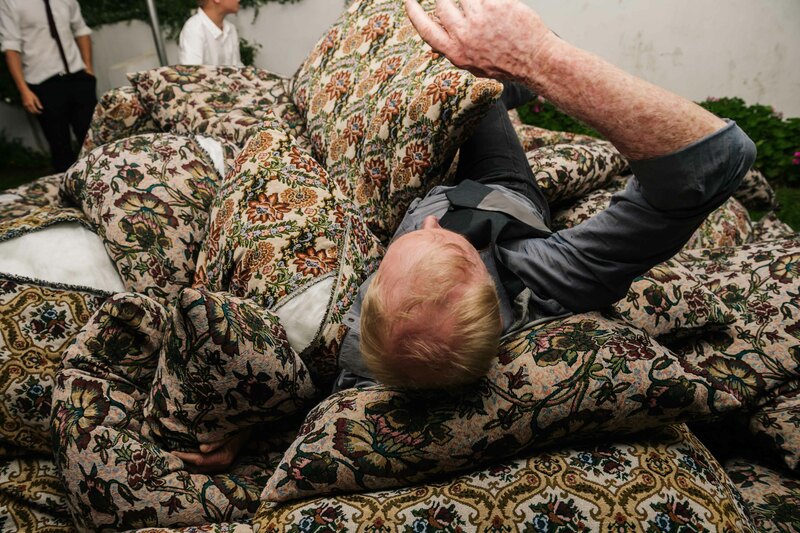 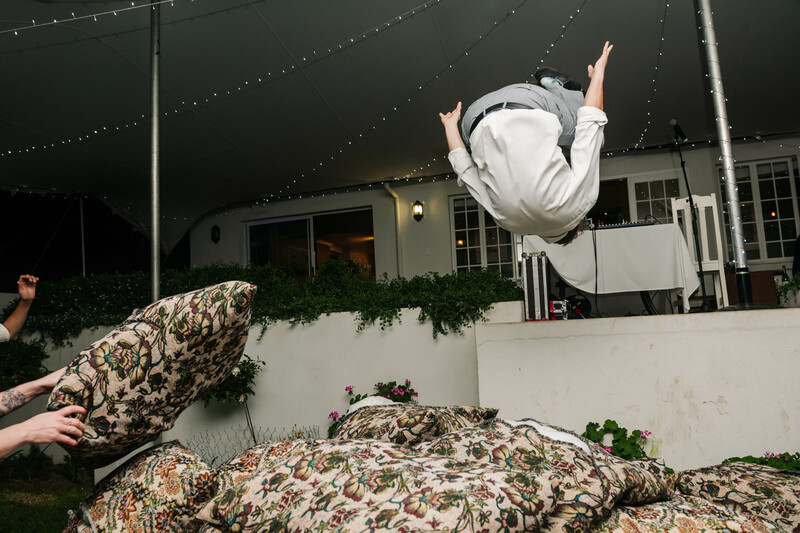 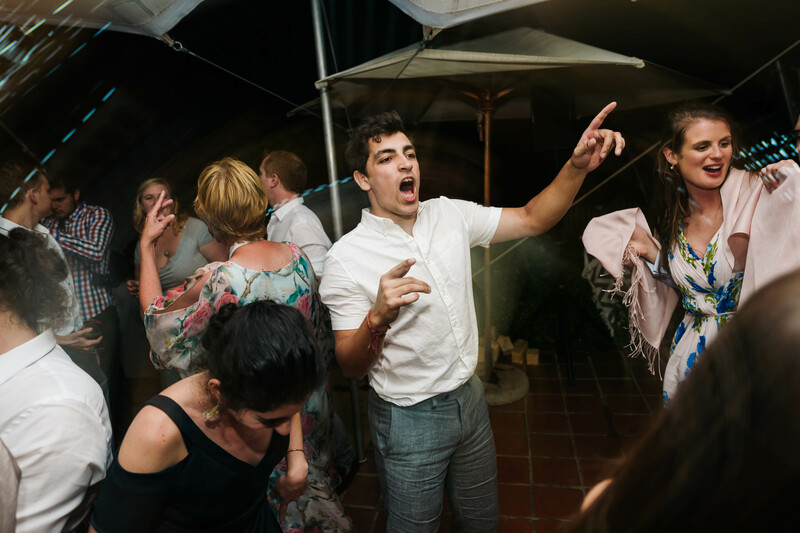 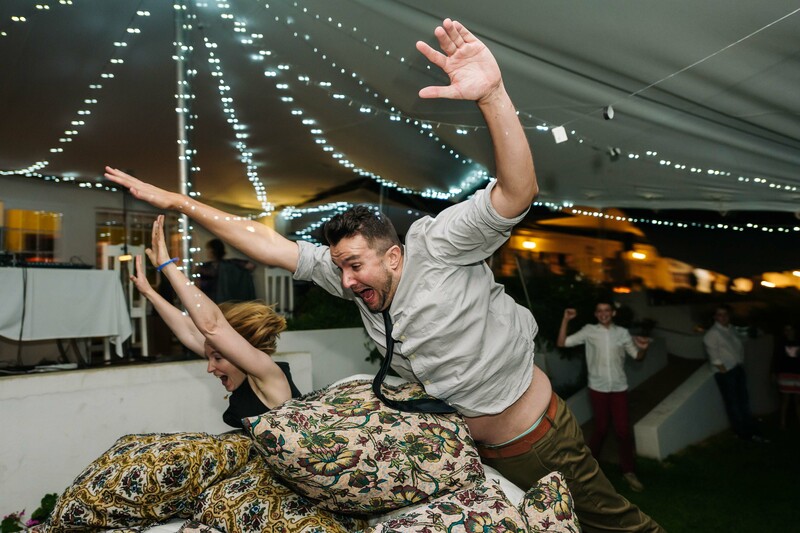 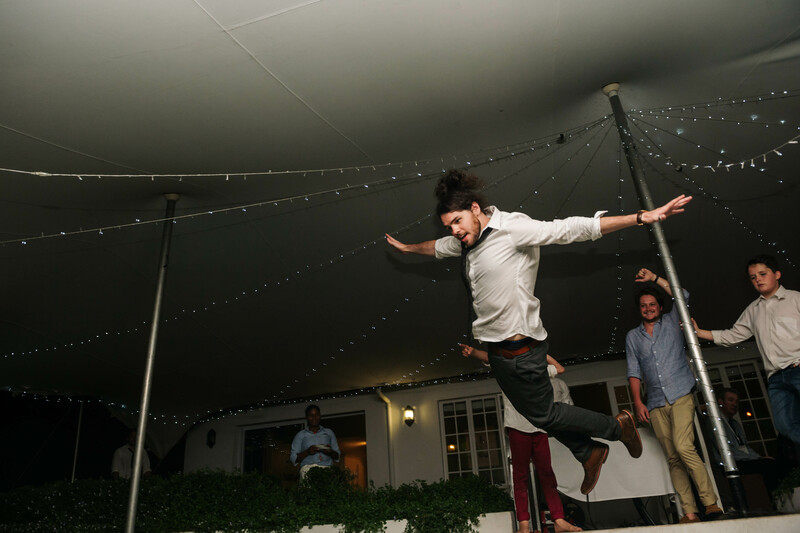 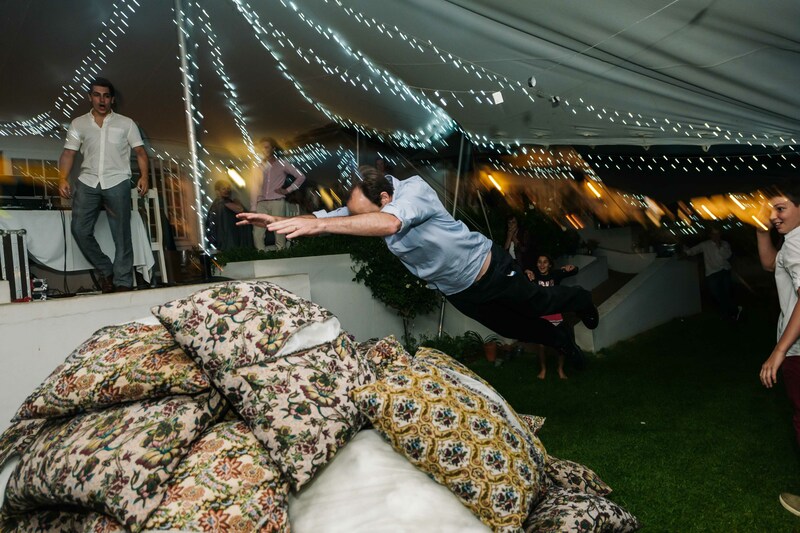 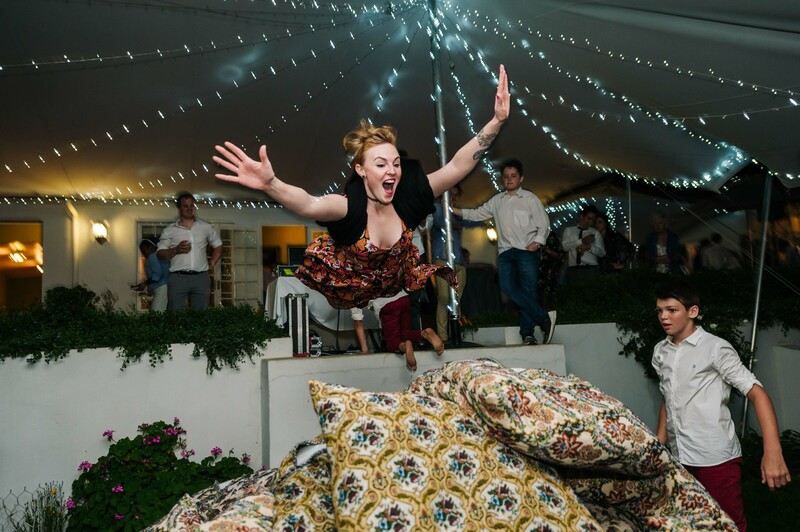 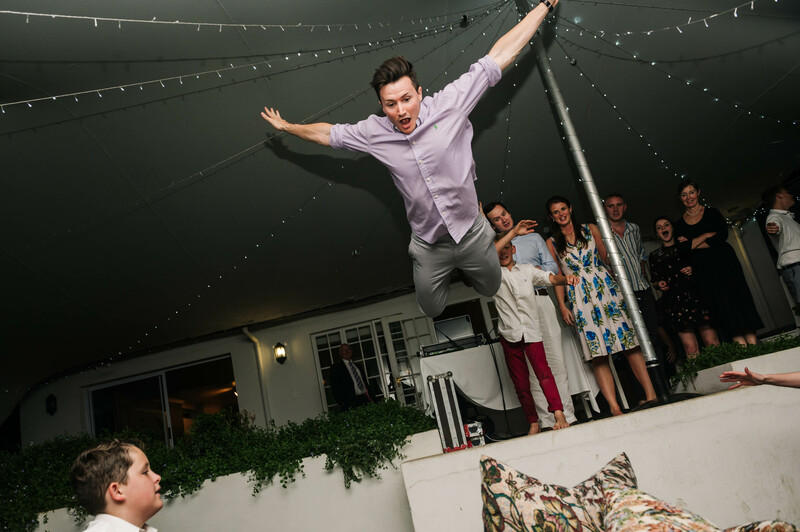 Later during the evening, a spontaneous photo booth revealed itself when all the pillows were piled up and guests were flying through the air, jumping onto them. 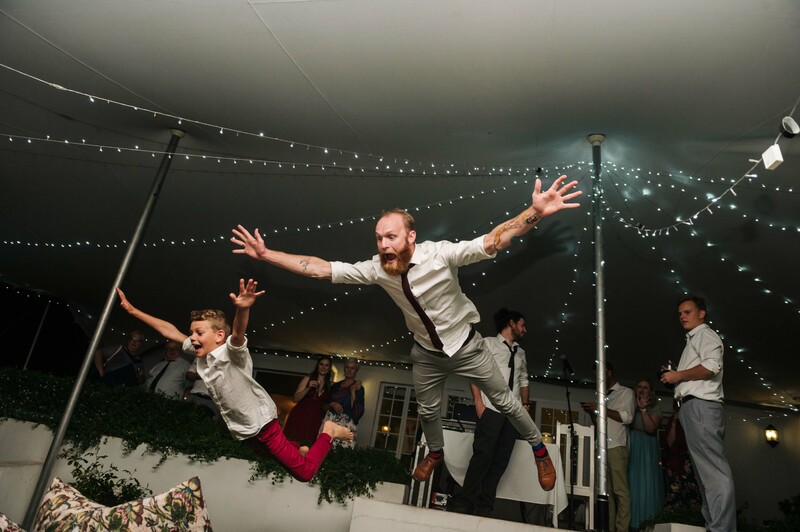 Scroll down to see what pure childlike joy unfolded. 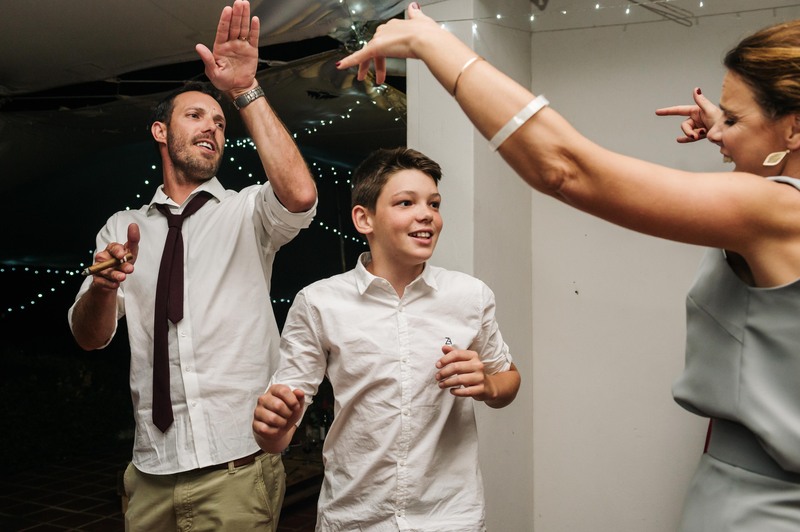 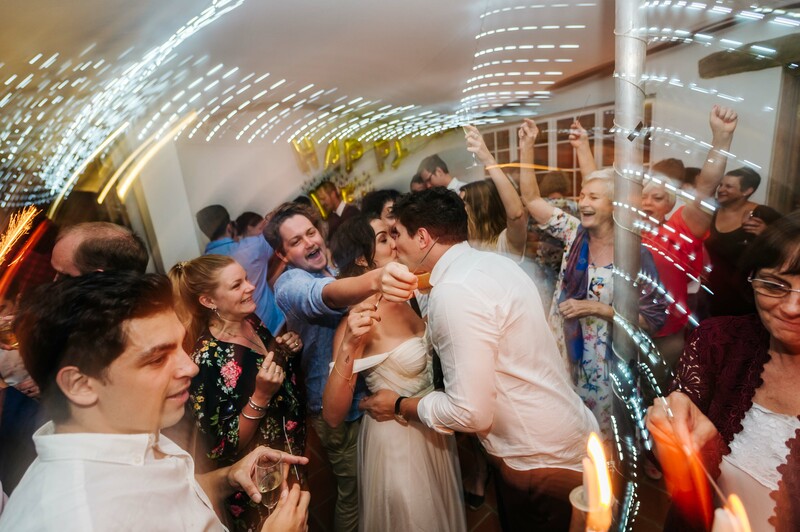 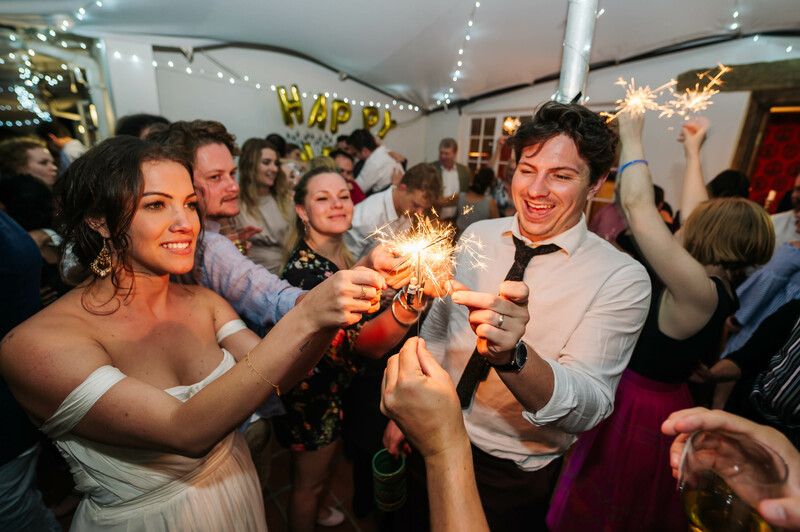 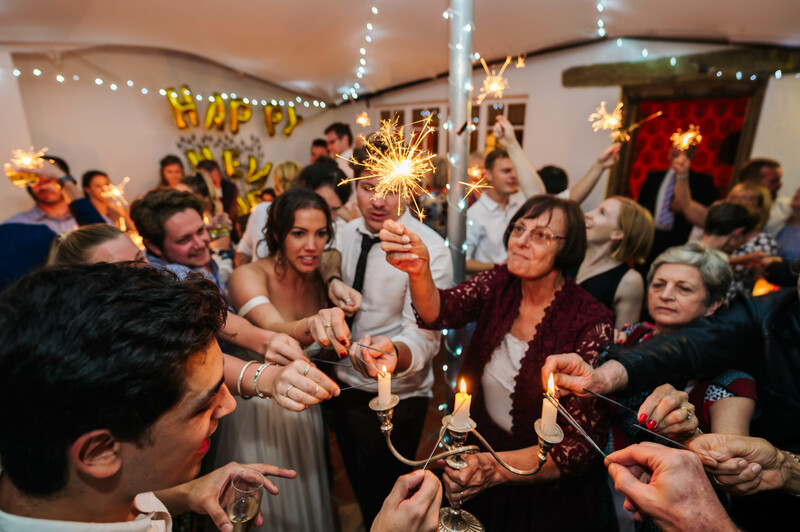 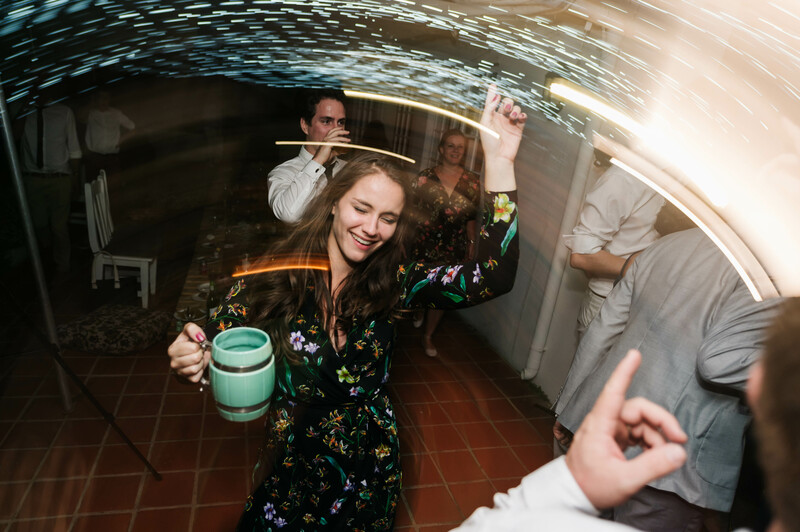 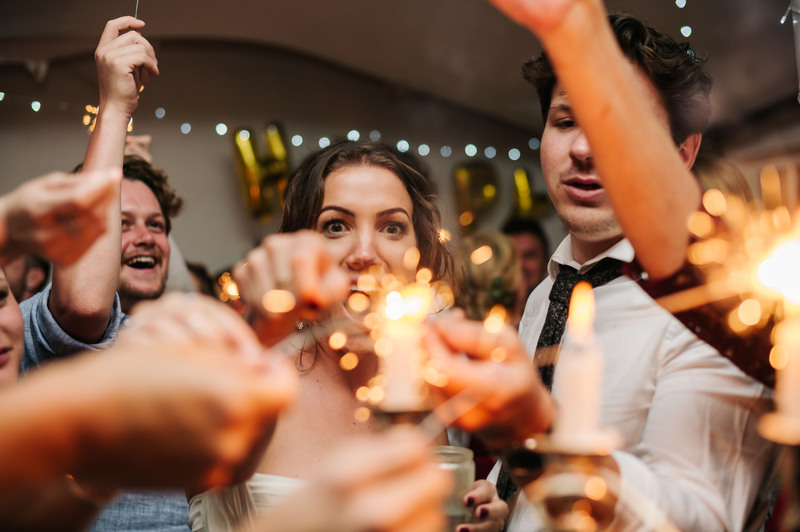 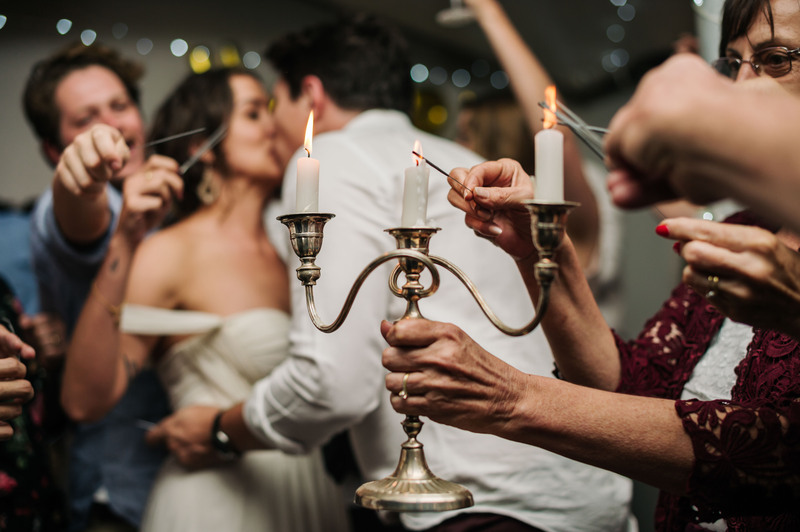 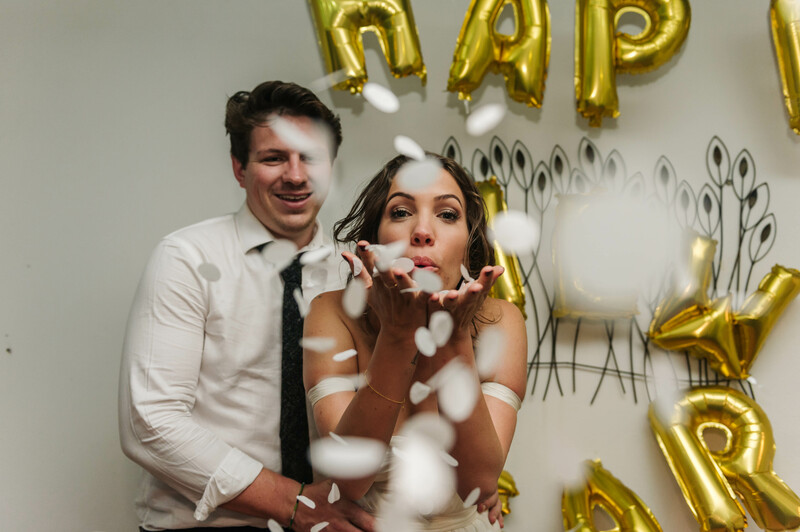 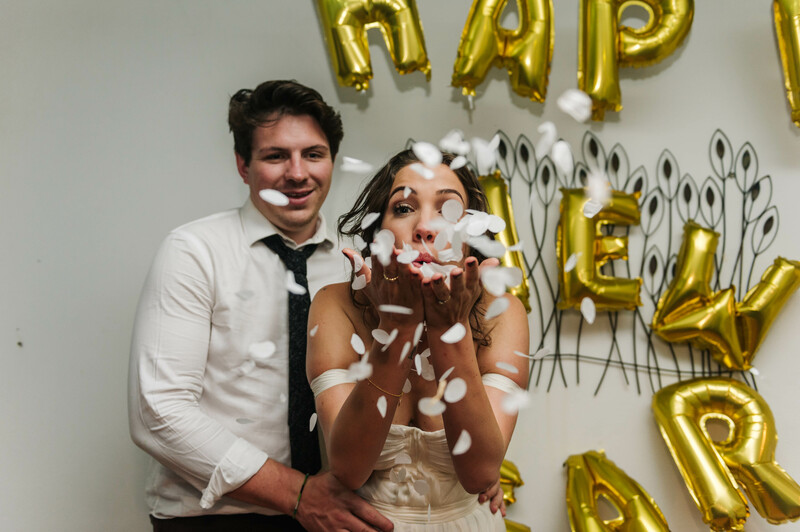 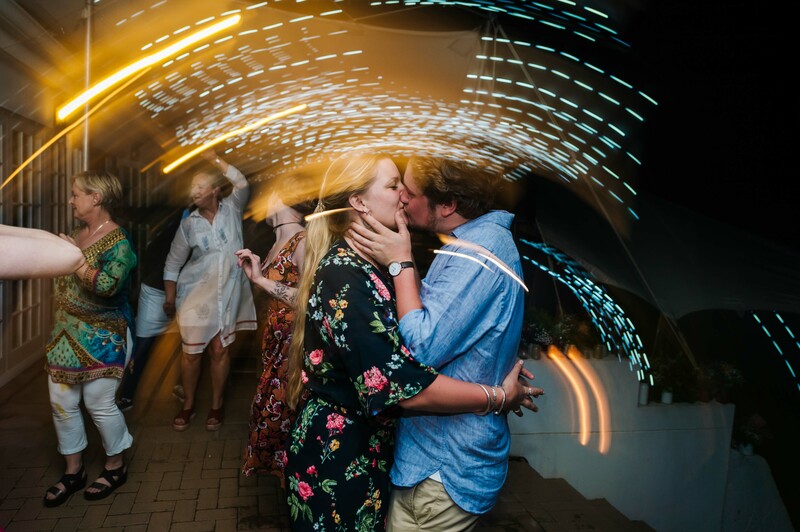 Before the party could come to an end, the new year was welcomed in with sparklers and a countdown, starting their marriage on a brand new day for a brand new year. 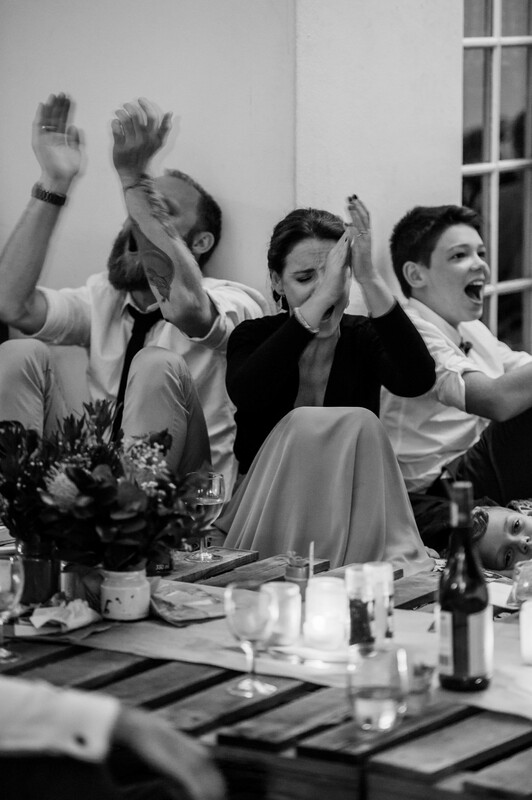 How truly lucky we are to have been part of this incredible celebration.